本文提供了用于区分含水非血液样本(例如，对照溶液)和血液样本的方法。 The method provided herein for distinguishing between an aqueous non-blood sample (e.g., a control solution) and a blood sample. 一方面，方法包括应用测试条，在测试条上通过与电化学测试条电学连接的仪表测量多个电流瞬变。 In one aspect, the method comprises applying a test strip, a plurality of current transients measured by a meter electrically connected to an electrochemical test strip on the test strip. 用电流瞬变基于至少两个特征(例如，干扰物存在量和反应动力学)来确定样本是血液样本，还是含水非血液样本。 (E.g., amount of interferent present and reaction kinetics) to determine if the sample is a blood sample or an aqueous non-blood sample based on at least two characteristics with current transients. 该方法也可以包括基于至少两个特征计算区分标准。 The method may also include calculating a standard based on at least two distinguishing features. 本文也提供了用于区分血液样本和含水非血液样本的系统的各个方面。 Also provided herein are various aspects of a system for distinguishing between a blood sample and an aqueous non-blood sample. 本申请要求35U.SC§ 119之下2007年9月28日申请的美国临时专利申请号60/976，083，名称为“区分对照溶液与生理学样本的系统和方法”的优先权，在此该申请全文引入作为参考。  This application claims priority under 119 35U.SC§ U.S. Provisional Patent Application No. filed September 28, 2007 60 / 976,083, entitled "System and method for distinguishing a control solution sample with physiologically" priority which application is incorporated herein by reference. 本文中提供的系统和方法涉及医药测试领域，具体而言是检测样本(例如，血液)中分析物的存在和/或浓度。  The system and method provided herein relates to the field of pharmaceutical tests, specifically, a test sample (e.g., blood) in the presence of an analyte and / or concentration. 生理学液体中(例如，血液或血液衍生物，诸如血浆)的分析物浓度检测在现代社会中变得越来越重要。  physiological fluid (e.g., blood or blood derivatives, such as plasma) concentration of the analyte detection is becoming increasingly important in modern society. 此类分析在包括临床实验测试，家庭测试等的多种应用和装置中都很有用，其中此类测试的结果在各种疾病状态的诊断和治疗中都起突出作用。 Such analyzes are useful in a variety of applications and devices, including clinical laboratory testing, home testing, etc., the result of which such tests in the diagnosis and treatment of various disease states have played a prominent role. 感兴趣的分析物包括用于糖尿病治疗的葡萄糖、用于监测心血管疾病的胆固醇等。 Analytes of interest include glucose for diabetes treatment, to monitor cholesterol and other cardiovascular diseases. 用于分析物浓度检测分析的通常方法是基于电化学。 The method generally  used for detecting the concentration of an analyte based on an electrochemical analysis. 在此类方法中，将水性液体样本置于电化池内的反应室中，所述电化学池由至少两个电极即参照和工作电极组成，其中电极具有使得其适合于电流或电量测量的阻抗。 In such methods, an aqueous liquid sample is placed in the pool electrochemical reaction chamber, i.e., with reference to the electrochemical cell and the working electrode consists of at least two electrodes, wherein the electrodes such that it is suitable for having a current or power measurement of the impedance. 允许待分析的成分与试剂反应形成其量与分析物浓度成比例的可氧化(或可还原)的物质。 Allow the reaction component to be analyzed and the reagent is formed in proportion to the amount of analyte concentration of the oxidizable (or reducible) substance. 然后电化学估测存在的可氧化(可还原)物质的量并与样本中的分析物浓度相关联。 There is then estimated electrochemically oxidizable (or reducible) substance in an amount and concentration of the analyte in the sample is associated. 通常应用自动化装置，例如电化学测试仪来检测样本中分析物的浓度。  Automation usually applied, for example, the concentration of an electrochemical tester to test sample analyte. 许多测试仪有利于允许将分析物浓度、以及通常是多个分析浓度储存于仪表的存储器中。 Many testers advantageously allows the analyte concentration, and usually a plurality of analyte concentrations stored in the memory of the meter. 这一特征让使用者具有能力回顾一段时间内的分析物浓度水平、经常作为之前收集的分析物水平的平均值，其中所述平均根据与仪表相关的算法完成。 This feature allows the user has the ability to review analyte concentration levels over time, often as a previously collected analyte level average value, wherein the average accomplished according to the algorithm associated with the meter. 然而，为确保系统运行正常，使用者偶尔会用对照液体替代血液样本进行测试。 However, to ensure the system is operating normally, the user occasionally alternate blood sample with a control test liquid. 此类对照液体(也称为对照溶液)通常是具有已知葡萄糖浓度的水性溶液。 Such control fluid (also referred to as control solutions) having a known concentration of glucose is generally an aqueous solution. 使用者可以用对照溶液进行测试并将显示的结果与已知浓度相比较，以确定系统是否运行正常。 And the user can display the test results with a control solution of known concentration and compared to determine whether the system is functioning properly. 然而，一旦进行了对照溶液测试，对照液体的葡萄糖浓度即储存于仪表的存储器中。 However, once the control solution test, i.e. glucose concentration control liquid stored in the instrument memory. 因此，当使用者试图回顾之前的测试和/或之前测试结果的平均浓度时，结果可能会偏移至对照液体分析物水平的浓度。 Thus, when the average concentration of the test results of the test and / or before the user attempts to review before the result may be shifted to the concentration of the control fluid analyte level. 因此，能够在测试中区分对照溶液和样本液体是合乎需要的。  Accordingly, it is possible to distinguish between the control solution and the sample liquid is desirable in the test. 一个选择是手工将液体标记为对照或测试液体。 One option is to manually control or test liquid marking liquid. 然而自动标记是优选的，因为其能够最小化使用者的影响，并且能增加使用的容易度。 However, auto-tagging is preferred because it can minimize the influence of the user, and can increase the ease of use. 因此，在开发用于测定样品中分析物浓度的新方法和装置方面仍存在持续的兴趣。  Thus, there remains a continued interest in the development of new methods and apparatus for measuring the concentration of an analyte in a sample. 特别感兴趣的是开发包括自动标记样本为对照液体或测试液体并相应地储存或排除测试结果能力的方法和装置。 Of particular interest is the development of control comprises automatically marked as a liquid sample or test fluid and to store or exclude the corresponding method and apparatus for testing the ability of the results. 特别感兴趣的是开发适合于基于电化学的分析物浓度测定分析的方法。 Of particular interest is the development of a method suitable for measuring analyte concentration electrochemically analyzed based. 本文提供了用于区分含水非血液样本(例如，对照溶液)和血液样本的系统和方法的各个方面。  provided herein for distinguishing between an aqueous non-blood sample (e.g., a control solution) and various aspects of the systems and methods of blood samples. 一方面，方法包括应用其中施加电压并测量电流的测试条。 In one aspect, wherein the method comprises applying a voltage and measuring the current applied to the test strip. 基于至少一个特征将电流用于确定样本是血液样本或非血液样本。 Based on at least one characteristic used to determine a current sample is a blood sample or a blood sample. 文中进一步描述的是计算基于至少两个特征的区分标准的方法。 The method of calculation is based on at least two standard distinguishing feature of further described herein. 本文中进一步描述的还有用于区分血液样本和非血液样本的系统。 There is further described herein for distinguishing between a blood sample and a non-system blood sample. 在一个实施方案中，公开了区分血液样本和非血液样本的方法。  In one embodiment, a method of distinguishing between a blood sample and a non-blood sample. 该方法包括将样本引入具有第一和第二电极的电化学池中并在第一电极和第二电极之间施加第一测试电位(test potential)。 The method comprises introducing the sample into an electrochemical cell having first and second electrodes and applying a first test potential (test potential) between the first electrode and the second electrode. 然后测量产生的第一电流瞬态(current transient)。 A first current transient (current transient) produced is then measured. 在第一电极和第二电极之间施加第二测试电位，然后测量第二电流瞬态。 Applying a second test potential between the first electrode and the second electrode, a second current transient is then measured. 该方法也可以包括在第一电极和第二电极之间施加第三测试电位并测量第三电流瞬态。 The method may also include applying a third test potential between the first electrode and the second electrode and measuring a third current transient. 基于第一电流瞬态，计算与样本中氧化还原试剂种类的量相关的第一参照值。  Based on the first current transient, the sample is calculated with a reference value a first amount of a redox reagent species related. 此夕卜，基于第二和第三电流瞬态，计算与反应动力学相关的第二参照值。 Bu this evening, based on second and third current transients, calculates reaction kinetics associated second reference value. 然后将第一和第二参照值用于确定样本是非血液样本还是血液样本。 The first and second reference value for determining a blood sample or a blood sample of a non-sample. 非血液样本可以是对照溶液或某些其它的样本，例如饮料(例如，运动饮料，诸如Gatorade®)。 Non-blood sample may be a control solution or some other sample, such as beverages (e.g., sports drinks, such as Gatorade®). 一方面，第一参照值与样本中干扰物的浓度成比例。  In one aspect, the first reference value is proportional to the concentration of the interferent in the sample. 例如，第一参照值可以是基于至少一个来自第一电流瞬态的电流值计算的干扰物指数。 For example, the first reference value may be based on the interferent index of at least one current value from the first current transient is calculated. 第二参照值可以是化学反应完成百分数的函数。 The second reference value may be a function of the percent completion of a chemical reaction. 例如，第二参照值可以是基于至少一个来自第二电流瞬态的电流值以及至少一个来自第三电流瞬态的电流值计算的剩余反应指数。 For example, the second reference value may be based on the residual reaction index of at least one current value from the second current transient and at least one current value from the third current transient is calculated. 一方面，基于第二电流值和第三电流值的比例计算剩余反应指数。 In one aspect, the residual reaction index is calculated based on the ratio of the second current value and the third current value. 在另一方面，该方法可以完成测量样本中分析物浓度的步骤。  In another aspect, the method may perform step measuring the concentration of analyte in the sample. 如果发现样本是血液样本，可以储存测量的浓度。 If it is found the sample is a blood sample, the measured concentration can be stored. 反之，如果发现样本是非血液样本，则测得的浓度可以标记，分开储存和/或抛弃。 Conversely, if the sample is a non-blood sample is found, the measured concentration may be labeled, stored separately, and / or discarded. 在一个实施方案中，可将统计分类应用于确定样本是非血液样本还是血液样本。  In one embodiment, statistical classification can be used to determine the non-blood sample or a sample of blood samples. 例如，代表凭经验取得的区分线的等式可用于评估第一和第二参照值。 For example, the equation representing discrimination line can be used to evaluate empirically obtain a first and a second reference value. 在另外一个方面，在施加第一测试电位步骤之前，将开路电位施加于电化学池。  In another aspect, prior to applying the first test potential step, open-circuit potential is applied to the electrochemical cell. 此外，在施加第一测试电位步骤之后，可施加开路电位。 Further, after the step of applying the first test potential, may be applied to the open circuit potential. 本文进一步描述的是区分血液样本和非血液样本的系统。  The sorting system is a non-blood sample and blood sample as described further herein. 在一个实施方案中，系统可以包括测试条和测试仪表。 In one embodiment, the system may include a test strip and a test meter. 测试条包括用于与测试仪表相匹配的电触头和电化学池。 The test strip comprises a test meter and match the electrical contacts and the electrochemical cell. 测试仪表包括装配的用于从测试条中接收电流数据的处理器，以及含有基于抗氧化剂浓度和反应动力学的用于区分血液样本和非血液样本的区别标准的数据储存器。 Test meter including a processor for receiving assembled data current from the test strip, and comprising data storage based antioxidant concentration and reaction kinetics for distinguishing between a blood sample and differences between standard samples of non-blood. 区别标准可以衍生自代表抗氧化剂浓度的干扰物指数和代表反应动力学的反应指数。 Standard reaction index difference may be derived from the representative antioxidant concentration interferent index and the representative of reaction kinetics. 例如，区别标准可以包括经验得到的区分线。 For example, criteria may include distinguishing difference line experience obtained. 系统还可以进一步包含基本上缺乏氧化还原试剂种类的非血液样本(例如，对照溶液)。 The system may further comprise a substantially non-blood sample lacking reducing agents oxidized species (e.g., a control solution). 文中还进一步描述的是用于计算区别标准的方法。  is a method for calculating the difference between the standard described further herein. 可以将区别标准编程到用于区分血液样本和非血液样本的测试仪表中。 Difference between the standard may be programmed to distinguish between a blood sample and a blood sample of a non-test meter. 在一个实施方案中，方法包括计算多个非血液样本的干扰物指数和剩余反应指数，以及基于多个非血液样本的干扰指数及剩余反应指数的回归计算区别标准。 In one embodiment, the method includes interferent index and a residual reaction index calculated plurality of non-blood sample, and calculating the difference between the standard regression based on a plurality of non-interfering index blood samples and the residual reaction index. 在一个方面，区别标准是区分线。  In one aspect, the difference between the standard line is distinguished. 例如，该方法可以包括将多个血液样本的干扰指数及剩余反应指数制成图表并将区分线往多个血液样本移动。 For example, the method may comprise a plurality of blood samples interferent index and the residual reaction index is made and the dividing line to the plurality of chart of blood sample movement. 在一个方面，方法提供了区别血液样本和对照溶液的方法，其包括(a)将样本引入电化学池时在第一电极和第二电极间施加第一测试电位并测量第一电流瞬态，(b)在第一电极和第二电极间施加第二测试电位并测量第二电流瞬态，其中第二测试电位足够在第二电极氧化还原的介质，(C)在第一电极和第二电极间施加第三测试电位，其中第三测试电位足够在第一电极氧化还原的介质。  In one aspect, the methods provide a blood sample, and the difference between the control solution, the time comprising (a) introducing the sample into an electrochemical cell is applied to a first test potential between the first electrode and the second electrode and measuring a first current transient, (b) applying a second test potential between the first electrode and the second electrode and measuring a second current transient, wherein the second medium in the second test potential sufficient redox electrode, (C) a first electrode between the second electrode and the third test potential is applied, wherein the third test potential sufficient in the medium of the first redox electrode. 此外，该方法可以包括测量第三电流瞬态。 In addition, the method can include measuring a third current transient. 该方法还可以包括(d)基于第一电流瞬态计算第一参照值，(e)基于第二和第三电流瞬态计算第二参照值，以及(f)基于第一和第二参照值确定样本是参照溶液还是血液样本。 The method may further comprise (D) is calculated based on the first current transient calculating a first reference value, (e) based on the second and third current transients second reference value, and (f) a first and a second reference value based on determining a reference solution or sample is a blood sample. 表不总和，其中isum是电流值的总和，t是时间。 Table does not sum, where isum is the sum of current values, t is the time. 在其他实施方案中，也可以用不同的方法计算或确定第二参照值。  In other embodiments, it may also be calculated by different methods or determining a second reference value. 例如，第二参照值可以基于化学反应的完成百分数，第二参照值可以基于至少一个来自由第二电流瞬态的电流值和至少一个来自于第三电流瞬态的电流值，或第二参照值可以基于在大约第二电流瞬态终点的第二电流值和在大约第三电流瞬态起点的第三电流值。 For example, the second reference value may be based on a percent completion of a chemical reaction, the second reference value may be based on at least one consisting of a current value of the second current transient and at least one current value from the third current transient, or the second reference the second current value may be based on end about the second current transient and a third current value of the third current transient about the origin. 在其它实施方案中，第二参照值可以基于第二电流值和第三电流值的比值，其中比值可以用等式:比值=“/“来表不，其中“是第二电流值且“是第二电流值。 In other embodiments, the second reference value may be based on a ratio of a second current value and the third current value wherein the ratio can be expressed by the equation: ratio = "/" not to table, wherein "is the second current value and" Yes second current value. 在方法的不同实施方案中，可以利用系统多种元件的各种方向和/或配置。  In various embodiments of the method, the system may be utilized in various directions of the various components and / or configurations. 例如，在一个实施方案中，第一电极和第二电极可以具有相对的面排列，其中试剂层可以置于第一电极上而不置于第二电极上。 For example, in one embodiment, the first electrode and the second electrode may have opposing surfaces arranged, wherein the reagent layer may be disposed on the first electrode and not disposed on the second electrode. 在另一个实施方案中，第一电极和第二电极可以具有同平面的排列，试剂层置于第一电极上而不置于第二电极上。 In another embodiment, the first electrode and the second electrode may have a coplanar arrangement, a reagent layer disposed on the first electrode and not disposed on the second electrode. 方法的各种实施方案也可以包括各种附加的或任选的步骤。 Various embodiments  The method may also include various additional or optional steps. 例如，在一个实施方案中，方法可以包括测量分析物浓度的步骤，其中，例如，如果发现样本是对照溶液，则标记与对照样本相关的分析物浓度。 For example, in one embodiment, the method may comprise the step of measuring the concentration of an analyte, wherein, for example, if the sample is a control solution was found, the analyte concentration of the labeled control sample. 此外，在一个实施方案中，上面确认的步骤(f)可以进一步包括应用统计分类以确定样本是对照溶液还是血液样本。 Further, in one embodiment, step (f) the above-identified application may further include a statistical classification to determine if the sample is a control solution or a blood sample. 在另一个实施方案中，上面确认的步骤(f)可以进一步包括将第一参照值与预先测定的阈值相比较，以及将第二参照值与预先测定的阈值等式(例如，是第一参照值函数的等式)相比较，以确定样本是对照溶液还是血液样本。 In another embodiment, step (f) may further comprise the above-identified reference to the first measured value and the predetermined threshold value is compared with a reference value and a second threshold value equation is measured in advance (e.g., a first reference value of the function equation) compared to determine if the sample is a control solution or a blood sample. 另一个方面，提供了用于区别血液样本和对照溶液样本的系统。  another aspect, a system for distinguishing between blood samples and control solution samples. 在一个实施方案中，系统可以包括(a)包含用于与测试仪表匹配的电触头的测试条及电化学池，所述电化学池包括(i)空间上分开的第一电极和第二电极，和(ii)试剂。 In one embodiment, the system may comprise (a) a test strip and a test meter and an electrochemical cell for matching electrical contacts, said electrochemical cell comprising a first electrode separated from (i) and a second space electrodes, and (ii) a reagent. 此外，系统还可以包括(b)测试仪表，其包含配置的用于从测试条上接收电流数据的处理器，以及含有用于区分血液样本和对照样本(例如，基本上缺乏氧化还原试剂种类的样本)的区分标准的数据存储器，所述区分标准基于抗氧化剂浓度和反应动力学。 Further, the system may further include (b) a test meter, comprising a processor configured to receive current data from the test strip, and comprising for distinguishing between a blood sample and a control sample (e.g., substantially devoid of redox species in the reagent samples) to distinguish standard data memory, the discrimination criteria based on antioxidant concentration and reaction kinetics. 在不同的实施方案中，上面提到的区分标准可以衍生自不同来源。  In various embodiments, the distinguishing criteria mentioned above may be derived from different sources. 例如，在一个实施方案中，区分标准衍生自代表抗氧化剂浓度的干扰物指数和代表反应动力学的剩余反应指数。 For example, in one embodiment, the discrimination criteria is derived from a representative of the residual reaction index and the interferent index representative of antioxidant concentration in the reaction kinetics. 在另一个实施方案中，区分标准可以包含凭经验得到的区分线。 In another embodiment, the discrimination criteria can include empirically derived discrimination line. 在另一个实施方案中，提供了用于计算编程至测试仪表内的用于区分血液样本和对照溶液样本的的区分标准的方法。  In another embodiment, a method for distinguishing between a blood sample and the standard to distinguish the control solution sample within the test instrument to be used to calculate programming. 在一个实施方案中，方法包括步骤(a)计算多个对照溶液样本的干扰物指数和剩余反应指数，和(b)基于多个对照溶液样本的干扰物指数和剩余反应指数的回归计算区分标准。 In one embodiment, the method comprising the steps of (a) calculating a plurality of control solution interferent index and the residual reaction index of samples, and (b) based on the regression solution interferent index plurality of control samples and the residual reaction index calculated distinguishing criteria . 任选地，该方法还可以进一步包括将多个血液样本的干扰指数及剩余反应指数制成图表并将区分线往多个血液样本移动。 Optionally, the method may further comprise dividing line chart and a plurality of blood samples interferent index and residual reaction index to the plurality of blood sample movement. 在一个实施方案中，区分标准是区分线。 In one embodiment, the discrimination criteria is a discrimination line. 另一方面，提供了用于区分血液样本和对照溶液样本的方法，其包括步骤(a)将样本引入电化学池中，其中电化学池包括(i)空间上分离的两个电极和(ii)试剂。  In another aspect, a method for distinguishing between a blood sample and a control solution sample, comprising the steps of (a) introducing the sample into an electrochemical cell, wherein the electrochemical cell comprises two electrodes separated (i) a space and (ii) a reagent. 该方法还进一步包括步骤(b)在电极之间施加具有第一极性的第一测试电位，并测量池电流，(C)加和至少两个在第一测试电位期间测得的电流值以得到干扰物指数，以及⑷应用干扰物指数区分血液样本和对照溶液样本。 The method further comprises the step of (b) applied between the electrodes of a first polarity having a first test potential, and measuring cell current, (C) and adding at least two current values ​​measured during the first test potential to obtained interferent index and the interferent index to distinguish between applications ⑷ blood samples and control solution samples. 图8显示了当施加20mV电位时，对照溶液、血浆、具有48%血细胞比容的血液样本、具有77%血细胞比容的血液样本在0.2和0.5秒的电流值的总和。  FIG. 8 shows that when the potential of 20mV applied, the control solution, plasma, a blood sample having a hematocrit of 48%, with 77% of the total blood sample hematocrit on the current value of 0.2 and 0.5 seconds. 图9是图7的扩充图，显示了对照溶液(CS)和血液(BL)的第一测试电流瞬态和第二测试电流瞬态。  FIG. 9 is a view of the extension of FIG. 7, the display control solution (CS) and blood (BL) of a first test current transient and second test current transient. 图14是显示在宽范围的温度、血细胞比容水平和葡萄糖浓度下测试的用不同算法得到的干扰物指数和剩余反应指数之间关系的曲线图；以及 图15是显示只在周围环境温度下测试的用不同算法得到的干扰物指数和剩余反应指数之间关系的曲线图。  FIG. 14 is a graph showing the relationship between the test at a wide range of temperatures, hematocrit levels and glucose concentrations with different algorithms interferent index and the residual reaction index obtained; and  FIG. 15 is a only test a graph showing the relationship between different algorithms disturbance index was obtained and the residual reaction index is at ambient temperature. 现在将描述一些示范性实施方案以提供对本文公开的系统和方法的结构原理、功能、制造和应用的总体理解。  will now be described some exemplary embodiments to provide structural principle of the systems and methods disclosed herein, function, manufacture, and application of an overall understanding. 这些实施方案的一个或多个示例在附图中得以阐述。 One or more examples of these embodiments is set forth in the accompanying drawings. 本领域技术人员应理解本文具体描述以及附图阐述的系统和方法是非限制性的示范性实施方案，本发明的范围只由权利要求限定。 Skilled in the art will appreciate that specifically described herein and the system and method of non-limiting exemplary embodiments set forth in the accompanying drawings, the scope of the present invention is limited only by the claims. 与一个示范性实施方案相关阐述或描述的特征可以与其它实施方案的特征联合。 Associated with one exemplary embodiment illustrated embodiment or described features may be combined with features of other embodiments. 这些修改和变形都包含在本发明的范围中。 Such modifications and variations are included within the scope of the present invention. 本发明公开的系统和方法适合于测定各种样本中的多种分析物，特别适合于测定全血或其衍生物中的分析物，其中特别感兴趣的分析物是葡萄糖。  The disclosed system and method of the present invention are suitable for measurements of various samples of a plurality of analytes, particularly suitable for the determination of analytes in whole blood or derivatives thereof, where an analyte of particular interest is glucose. 一方面，本发明提供了用于测定施加于测试条的样本是含水非血液样本(例如，对照溶液)还是血液样本的方法的各种实施方案。 In one aspect, the present invention provides a sample applied to the test strip for measuring the blood sample is non-aqueous (e.g., a control solution) or the various embodiments of the method of the blood sample. 在一个此类实施方案中，应用至少两个特征区分血液样本和非血液样本。 In one such embodiment, the use of at least two distinguishing features of non-blood sample and a blood sample. 这一说明将集中于区分血液样本和对照溶液。 The description will focus on distinguishing between a blood sample and a control solution. 然而，如下面的实施例2所示，本文提供的系统和方法也能应用于区分血液样本和任意的各种非血液样本(例如，包括运动饮料的饮料，诸如Gatorade®)。 However, as shown in the following examples, the systems and methods provided herein can also be applied to distinguish between blood samples 2 and any of a variety of non-blood samples (e.g., beverages including sports drinks such as Gatorade®). 原则上，本文中提供的方法可以与任何类型的具有空间上分离的第一和第二电极以及试剂层的电化学池使用。  In principle, the method provided herein may be used in the first and second electrodes and a reagent layer electrochemical cell having a spatial separation of any type. 例如，电化学池可以是测试条的形式。 For example, the electrochemical cell may be in the form of a test strip. 一方面，测试条包含通过薄间隔层分开的两个相对的电极，这些元件限定了其中放置有试剂层的样本反应室或区。 In one aspect, the test strip includes two opposing electrodes separated by a thin spacer layer, where these components define a sample reaction chamber placed reagent zone or layer. 本领域技术人员会理解其它类型的测试条，例如包括具有同平面电极的测试条，也可以用于本文中描述的方法。 Those skilled in the art will appreciate that other types of test strips, including, for example, having a planar electrode with a test strip, may also be used in the methods described herein. 图1A4B显示了适合于文中描述的方法使用的示范性测试条62的不同视图。  FIG. 1A4B show various views of an exemplary test strip 62 suitable for the method of use described herein. 如图所示，测试条62可以包含从近端80延伸至远端82且具有侧边56、58的长主体。 As shown, the test strip 62 may comprise a distal end extending from the proximal end 80 to the body 82 and having a long side 56, 58. 主体59的近侧部分可以包含样本反应室61，所述反应室具有多个电极164、166和试剂72，而测试条主体59的远侧部分可以包含配置的用于与测试仪表进行电学交流的特征。 The proximal portion of the body 59 may include a sample reaction chamber 61, the reaction chamber having a plurality of electrodes 164, 166 and a reagent 72, while the distal portion of test strip body 59 may comprise for electrical communication with the test meter configured feature. 使用时，可将生理学液体或对照溶液传送至样本反应室61中进行电化学分析。 In use, physiological fluid or a control solution may be delivered to the sample reaction chamber 61 for electrochemical analysis. 在例证性实施方案中，测试条62可以包括第一电极层66和第二电极层64,在它们之间放置有间隔层60。  In exemplary embodiments, test strip 62 may include a first electrode layer 66 and the second electrode layer 64, a spacer layer 60 disposed therebetween. 第一电极层66可以提供第一电极166和用于将第一电极166与第一电触头67电学连接的第一连接轨道76 ;类似地，第二电极层64可以提供第二电极164和用于将第一电极164与第二电触头63电学连接的第二连接轨道78。 The first electrode layer 66 and the first electrode 166 may be provided for connecting the first electrode 166 and the first track of the first electrical contacts 67 electrically connected to 76; similarly, the second electrode layer 64 and the second electrode 164 may be provided a second connection electrode 164 and the second track of the first electrical contacts 63 electrically connected to 78. 在一个实施方案中，样本反应室由如图1A-4B所不的第一电极166、第二电极164以及间隔片60限定。  In one embodiment, sample reaction chamber 166, a second electrode 164 and the spacer sheet 60 is defined by the first electrode 1A-4B are not shown. 具体而言，第一电极166和第二电极164分别限定样本反应室61的底部和顶部。 Specifically, the first electrode 166 and second electrode 164 define the top and bottom of sample reaction chamber 61. 间隔片60的剪切块区域68可以限定样本反应室61的侧壁。 Cutout area 68 of the spacer 60 can define the side walls of sample reaction chamber 61. 一方面，样本反应室61可以进一步包含多个提供样本入口和/或出口的端口70。 In one aspect, sample reaction chamber 61 may further comprise providing a plurality of sample inlet and / or outlet port 70. 例如，端口之一可以提供液体样本的入口，其它端口可以作为出口。 For example, one of the inlet ports may be provided in the liquid sample, the other as an outlet port. 样本反应室61可以具有很小的体积。  The sample reaction chamber 61 may have a small volume. 例如，体积可以是从约0.1微升至约5微升，优选约0.2微升至约3微升，以及更优选约0.3微升至约I微升。 For example, volume may be from about 0.1 microliters to about 5 microliters, preferably about 0.2 microliters to about 3 microliters, and more preferably from about 0.3 microliters to about I microliters. 正如本领域技术人员可以理解的那样,样本反应室61可以具有不同的其它此类体积。 As those skilled in the art can appreciate, the sample reaction chamber 61 can have various other such volumes. 为提供小样本体积,剪切块68可以具有从约0.0lcm2至约0.2cm2的面积，优选约0.02cm2至约0.15cm2,更优选约0.03cm2至0.08cm2。 To provide the small sample volume, the cutout 68 may have an area from about 0.2cm2 to about 0.0lcm2, preferably about 0.02cm2 to about 0.15cm2, more preferably from about 0.03cm2 to 0.08cm2. 类似地，本领域技术人员可以理解，体积剪切块68可以具有不同的其它这样的面积。 Similarly, those skilled in the art will appreciate, the volume cutout 68 can have various other such areas. 此外，第一和第二电极166、164可以间隔约I微米至约500微米，优选约10微米至约400微米，以及更优选在约40微米至约200微米之间。 Further, the first and second electrodes 166, 164 may be spaced from about I microns to about 500 microns, preferably from about 10 microns to about 400 microns, and more preferably between about 40 microns to about 200 microns. 在其它实施方案中，此类范围可以在各种其它值之间变动。 In other embodiments, such a range can vary between various other values. 电极的近间距也可以允许发生氧化还原循环，其中在第一电极166产生的被氧化的介质可以扩散至第二电极164以变成被还原的，以及随后扩散回第一电极166以再次变成被氧化的。 Closely spaced electrodes can also allow redox cycling occurs, wherein the medium is oxidized to produce the first electrode 166 may be diffused to the second electrode 164 to become reduced, and subsequently diffuse back to first electrode 166 becomes again oxidized. 在测试条主体59的远端,第一电触头67可以用于建立与测试仪表的电连接。  In the distal end of the test strip body 59, a first electrical contact 67 may be used to establish an electrical connection with a test meter. 第二电触头63可以通过如图2所示的U型凹口65被测试仪表接入。 Second electrical contact 63 as shown by the U-shaped recess 65 is shown in the test meter access. 本领域技术人员能够理解测试条62可以包括配置的各种其它的用于与测试仪表电学连接的电触头。 Those skilled in the art to understand the test strip 62 may include various other electrical contacts for electrically connecting the test instrument configuration. 例如，美国专利号6，379，513公开了电化学池连接方式，其全文在此引入作为参考。 For example, U.S. Patent No. 6,379,513 discloses an electrochemical cell connection, which is hereby incorporated by reference. 在实施方案中，第一电极层66和/或第二电极层64可以是形成自诸如金、钯、碳、银、钼、氧化锡、铱、铟及其联合(例如，掺入氧化锡的铟)的材料的导体材料。  In an embodiment, the first electrode layer 66 and / or the second electrode layer 64 may be formed from a metal such as gold, palladium, carbon, silver, molybdenum, tin oxide, iridium, indium and their combination (e.g., incorporation of conductive material such as indium tin oxide) material. 此外，可以通过各种方法将导体材料置于绝缘片(没有显示)上以形成电极，所述方法例如，诸如溅射、无电镀镀层或丝网印刷方法。 Further, various methods can be placed in the insulating sheet conductor material (not shown) to form an electrode, e.g., the method, such as sputtering, electroless plating or screen printing method. 在一个示范性实施方案中，第二电极层64可以是溅射的金电极，以及第一电极层66可以是溅射的钯电极。 In one exemplary embodiment, the second electrode layer 64 may be a sputtered gold electrode and first electrode layer 66 may be a sputtered palladium electrode. 可以用作间隔层60的合适的材料包括各种绝缘材料，例如，诸如塑料(例如，PET、PETG、聚酰亚胺、聚碳酸酯、聚苯乙烯)、硅、陶瓷、玻璃、粘着剂及其组合。 Suitable materials may be used as the spacer layer 60 include various insulating materials, e.g., such as a plastic (e.g., PET, PETG, polyimide, polycarbonate, polystyrene), silicon, ceramic, glass, adhesives and a combination thereof. 可以用诸如槽涂层、从管末端分配、喷墨及丝网印刷等将试剂层72置于样本反应室61内。  The groove can be used as a coating, dispensing from the tube end, ink jet and screen printing, etc. The reagent layer 72 disposed within the sample reaction chamber 61. 例如，这类方法描述于以下美国专利号6，749，887、6，869，411、6，676，995和6，830，934中，这些参考资料都全文引入作为参考。 For example, such methods are described in U.S. Patent Nos. 6,749,887,6,869,411,6,676,995 and 6,830,934, these references are incorporated herein by reference. 在一个实施方案中，试剂层72可以包括至少一种介质和酶，可以沉积于第一电极166上。 In one embodiment, reagent layer 72 may include at least one medium and an enzyme, it may be deposited on the first electrode 166. 各种介质和/或酶都在本发明公开的精神和范围内。 Various media and / or enzymes are within the spirit and scope of the present disclosure. 例如，合适的介质包括铁氰化物、二茂铁、二茂铁衍生物、锇联吡啶复合物以及醌衍生物。 For example, suitable media include ferricyanide, ferrocene, ferrocene derivatives, osmium bipyridyl complexes, and quinone derivatives thereof. 合适的酶的示例包括葡萄糖氧化酶、基于吡咯并喹啉醌(PQQ)辅因子的葡萄糖脱氢酶(GDH)、基于烟酰胺腺嘌呤二核苷酸辅因子的GDH、以及基于FAD的GDH[EC1.1.99.10] O可以适合于制作试剂层72的一种不范性试剂配方描述于申请号为10 /242，951，标题为“制造无菌和标准的基于生物传感器的医疗设备的方法”的以US2004 /0120848出版的未作决定的美国专利申请中，其全文在此引入作为参考。 Examples of suitable enzymes include glucose oxidase, based on the pyrrolo-quinoline quinone (the PQQ) co-factor of the glucose dehydrogenase (GDH), GDH based on nicotinamide adenine dinucleotide co-factor, and GDH based on the FAD [ EC1.1.99.10] O may be suitable for making reagent layer 72 is not one kind of agent formulation range described in application No. 10 / 242,951, entitled "method and standard manufacturing sterile biosensor-based medical device "no decision in U.S. Patent application US2004 / 0120848 published, which is hereby incorporated by reference. 第一电极166或第二电极164都可以作为工作电极,所述工作电极根据测试仪表所施加测试电位的极性氧化或还原极限量的介质。  The first electrode 166 or second electrode 164 can be used as the working electrode, the working electrode of polar oxidation test potential applied according to the test instrument or limit amount reducing medium. 例如，如果当前极限物质是还原的介质，其可以在第一电极166上被氧化，只要就第二电极164而言施加了足够的正电位。 For example, if the current limit is reduced mediator substance which can be oxidized at the first electrode 166, as long as sufficient positive potential is applied to the second electrode 164 concerned. 在这种情况下，第一电极166执行工作电极的功能，第二电极164执行反向/参照电极的功能。 In this case, the first electrode 166 performs the function of the working electrode, a second electrode 164 performs a reverse / reference electrode function. 应当注意，除非对测试条62进行了另外标明，否则下文中所有由测试仪表100施加的电位都是就第二电极164标明的。 It should be noted that, unless the test strip 62 was otherwise indicated otherwise, all below the potential applied by test meter 100 to the second electrode 164 are indicated. 类似地，如果对第二电极164而言施加了足够的负电位，则还原介质会在第二电极164上被氧化。  Similarly, if a sufficiently negative potential is applied to the second electrode 164, the reducing medium is then oxidized at the second electrode 164. 在这种情况下，第二电极164可以执行工作电极的功能，第一电极166可以执行反向/参照电极的功能。 In this case, the second electrode 164 may perform the functions of the working electrode, the first electrode 166 can perform a reverse / reference electrode function. 本发明公开的方法的实施方案的第一步都可以包括将一定量的感兴趣的液体样本引入测试条62中，所述测试条62包括第一电极166、第二电极164以及试剂层72。  The first step of the method of the embodiment of the present disclosure may include a quantity of interest is introduced into the liquid sample 62 in the test strip, the test strip 62 includes a first electrode 166, second electrode 164 and a reagent layer 72. 液体样本可以是全血或其衍生物或部分、或对照溶液。 Liquid sample can be whole blood or a derivative or portion thereof, or control solution. 可将液体样本(例如血液)通过端口70分配至样本反应室61中。 Liquid sample (e.g. blood) can be assigned to the sample in the reaction chamber 61 through port 70. 一方面，可以组装端口70和/或样本反应室61以通过毛细管作用促使样本填满样本反应室61。 In one aspect, port 70 may be assembled and / or the sample reaction chamber 61 to cause the sample to fill the sample reaction chamber 61 by capillary action. 图5提供了与第一电触头67和第二电触头63相连的测试仪表100的原理图，所述电触头分别与测试条62的第一电极166和第二电极164电连接。  Figure 5 provides a first electrical contact connected to the second electrical contact 67 and 63 Schematic test meter 100, respectively, the electrical contacts 166 of the test strip and the first electrode 62 and the second electrode 164 the electrical connection. 可配置测试仪表100以分别通过第一电触头67和第二电触头63与第一电极166和第二电极166电学连接(如图2和5所示)。 Test meter 100 may be configured respectively by a first electrical contact 67 and second electrical contact 63 is connected to the first electrode 166 and second electrode 166 electrically (FIGS. 2 and 5). 正如本领域技术人员理解的那样，各种测试仪表均可以用于本文描述的方法。 As appreciated by those skilled in the art, the various test instruments may be used in the methods described herein. 然而，在一个实施方案中，测试仪表至少包括配置的用于实施能够区分血液和对照溶液的计算，以及数据分类和/或储存的的处理器。 However, in one embodiment, comprises a test meter configured for implementing at least able to distinguish between blood and control solution is calculated, and a processor data classification and / or the storage. 如图5阐明的那样，电触头67可以包括两个分支67a、67b。  As set forth in FIG. 5, the electrical contacts 67 may comprise two branches 67a, 67b. 在一个不范性实施方案中，测试仪表100分别与分支67a、67b相连，因此，当测试仪表100与测试条62连接时，形成了环路。 In an embodiment of the fan, respectively, test meter 100 branches 67a, 67b are connected, therefore, when the test meter 100 and test strip 62 is connected to form a loop. 测试仪表100可以测量分支67a、67b之间的电阻或电气连续性，以确定测试仪表62是否与测试仪表100电学连接。 Test meter 100 can measure the branch 67a, the resistance or electrical continuity between 67b, 62 to determine if the test meter 100 connected to the electrical test instruments. 本领域技术人员能理解，当测试条62相对于测试仪表100而言放置正确时，测试仪表100可以使用各种传感器和环路来进行确定。 Those skilled in the art will appreciate, when the test meter 100 in terms of properly placed with respect to the test strip 62, test meter 100 can use a variety of sensors and to determine the loop. 在一个实施方案中，测试仪表100可以在第一电触点67和第二电触点63之间施加测试电位和/或电流。  In one embodiment, the test meter 100 can apply a test potential and / or current between first electrical contact 67 and second electrical contacts 63. 一旦测试仪表100识别出已插入测试条62，测试仪表100将打开并开启液体检测模式。 Once the test meter 100 recognizes that the test strip 62 has been inserted, test meter 100 will open and turn liquid detection mode. 在一个实施方案中，液体检测模式促使测试仪表100在第一电极166和第二电极164之间施加I微安的恒定电流。 In one embodiment, the fluid detection mode causes test meter 100 to apply a constant current I microampere between first electrode 166 and second electrode 164. 因为测试条62开始是干的，测试仪表100测得由测试仪表100内硬件限制的最大电压。 Because the test strip 62 is initially dry, test meter 100 measured by the test meter may limit the maximum voltage 100 hardware. 然而，一旦使用者分配液体样本至入口70上，样本反应室61就将被充满。 However, once the user dispenses a liquid sample inlet 70, the sample reaction chamber 61 will be filled. 当液体样本连接了第一电极166和第二电极164之间的空隙时，测试仪表100会测量到所测电压的下降(例如，如美国专利号6，193，873描述的那样，其全文在此引入作为参考)，所测电压低于预先确定的阈值会促使测试仪表100自动开始葡萄糖测试。 When connected to the liquid sample space between the first electrode 166 and second electrode 164, test meter 100 will measure the voltage drop measured (e.g., as described in U.S. Patent No. 6,193,873, the entirety of which herein incorporated by reference), the measured voltage is below a predetermined threshold will cause the test meter 100 to automatically start the glucose test. 应当注意，当仅仅样本反应室61的一部分被充满时，所测量的电压可能降低低于预先确定的阈值。  It should be noted that, when only a portion of the sample reaction chamber 61 is filled, the measured voltage may decrease below a predetermined threshold value. 自动识别施加液体的方法不需要表明样本反应室61已经完全充满，但只能确定在样本反应室61中有一定量的液体存在。 Automatic identification method does not require the application of liquid indicates that the sample reaction chamber 61 has been completely filled, but can only be determined with a certain amount of liquid present in the sample reaction chamber 61. 一旦测试仪表100确定液体已经施加至测试条62时，可能仍然需要很短但非零的时间以允许液体完全充满样本反应室61。 Once the test meter 100 determines when the liquid has been applied to the test strip 62, but may still have a very short period of time to allow liquid to zero completely fill the sample reaction chamber 61. 在一个实施方案中，一旦测试仪表100已确认液体已经被引入(例如分配)至测试条62时，测试仪表100可以通过以图6所示的规定间隔施加多个开路电位和多个测试电位至测试条62来实施葡萄糖测试。  In one embodiment, once the test meter 100 has confirmed that the liquid has been introduced (e.g., assigned) to the test strip 62, test meter 100 may apply a plurality of open-circuit potential and a plurality of predetermined intervals through 6 shown in FIG. testing the potential of the test strip 62 to be implemented glucose test. 葡萄糖测试时间间隔TG代表实施葡萄糖测试(但与葡萄糖测试相关的计算不是必需的)的时间量，其中葡萄糖测试时间间隔Te可以包括第一开路时间间隔Ttxa、第一测试电位时间间隔T1、第二开路时间间隔Ttc2、第二测试电位时间间隔T2、以及第三测试电位时间间隔Τ3。 Representative of the glucose test time interval TG embodiment the glucose test (but associated with the glucose test is not necessarily calculated) amount of time, where the glucose test time interval Te can include a first open-circuit time interval Ttxa, a first test potential time interval T1, the second opening time interval ttc2, a second test potential time interval T2, and a third test potential time interval Τ3. 例如，葡萄糖测试时间间隔Te可以是从约I秒至约5秒的范围。 For example, the glucose test time interval Te can range from about I second to about 5 seconds. 虽然描述了两个开路时间间隔和三个测试电位时间间隔，但是本领域技术人员能理解葡萄糖测试时间间隔可以包括不同数量的开路和测试电位时间间隔。 Although two open-circuit time intervals and the three test potential time interval, those skilled in the art will appreciate that the glucose test time interval can include different numbers of open-circuit and test potential time interval. 例如，葡萄糖测试时间间隔可以包括单个开路时间间隔和/或仅仅两个测试电位时间间隔。 For example, the glucose test time interval could include a single open-circuit time interval and / or only two test potential time interval. 一旦已开始葡萄糖测试，测试仪表100切换至第一开路，历时第一开路电位时间间隔Ttc1,Ttrcl在示范性实施方案中是大约0.2秒。  Once the glucose assay has been started, the test meter 100 switches to a first open circuit for a first open-circuit potential time interval Ttc1, Ttrcl in the exemplary embodiment is about 0.2 seconds. 在另一个实施方案中，第一开路时间间隔Ttrcl可以是约0.05秒至约2秒的范围，且优选约0.1秒至约1.0秒，以及最优选是约0.15秒至约0.6秒之间。 In another embodiment, the first open-circuit time interval Ttrcl can range from about 0.05 seconds to about 2 seconds, and preferably from about 0.1 seconds to about 1.0 seconds, and most preferably between about 0.15 seconds to about 0.6 seconds. 实施第一开路的原因之一是允许有足够的时间让样本充满或部分充满样本反应室61。  One of the first embodiment because of open to allow sufficient time for a sample fill or partially fill the sample reaction chamber 61. 一般地，在环境温度下(即22°C )，样本反应室61需要约0.1秒至约0.5秒被血液完全充满。 Generally, at ambient temperature (i.e. 22 ° C), sample reaction chamber 61 takes about 0.1 seconds to about 0.5 seconds is completely filled with the blood. 相反，样本反应室61需要约0.2秒或更少的时间被对照溶液充满，其中配制对照溶液被以使其具有约I至约3厘泊的粘性。 In contrast, the sample reaction chamber 61 takes about 0.2 seconds or less time is filled with control solution, where the control solution was prepared so as to have a viscosity from about I to about 3 centipoise. 虽然对照溶液由已知成分组成且一般相同，但是血液样本在构成和/或成分上可能不同。  While control solutions of known chemical composition and are generally the same, but may differ in blood samples or the configuration and / or components. 例如，高血细胞比容血液样本比低血细胞比容血液样本更粘，因此,更高血细胞比容血液样本比更低血细胞比容血液样本需要更多的时间才能充满。 For example, high hematocrit blood samples are more viscous than low hematocrit blood samples, therefore higher hematocrit blood samples require more time than lower hematocrit blood samples in order to fill the cells. 因此，血液样本充满的时间会随多个因素而变化。 Therefore, blood samples full time will vary depending on several factors. 在施加第一开路电位后，测试仪表100在第一电极166和第二电极164之间施加第一测试电位E1 (例如，图6中的-0.3伏)，历时第一测试时间间隔T1 (例如，图6中0.15秒)。  After applying the first open-circuit potential, the test meter 100 applies a first test potential E1 (e.g., -0.3 Volts in FIG. 6) between the first electrode 166 and second electrode 164, for a first test time interval T1 (e.g., 0.15 seconds in FIG. 6). 测试仪表100测量得到的第一电流瞬态，其可以称为图7所示的ia(t)。 A first current transient test meter 100 measures obtained, which may be referred to as ia (t) shown in Fig. 电流瞬态表示在特定测试电位时间间隔期间由测试仪表测得的多个电流值。 Current transient represents a plurality of current values ​​measured by a test meter during a particular test potential time interval. 在一个实施方案中，第一测试电位时间间隔T1可以在约0.05秒至约1.0秒的范围内，以及优选在约0.1秒至约0.5秒之间，以及最优选在约0.1秒至0.2秒之间。 In one embodiment, the first test potential time interval T1 can range from about 0.05 seconds to about 1.0 seconds, and preferably between about 0.1 seconds to about 0.5 seconds, and most preferably about from 0.1 to 0.2 seconds of between. 在其它实施方案中，第一测试电位时间间隔Tl可以包括任意的其它合乎需要的时间范围。 In other embodiments, the first test potential time interval Tl may include any other desirable time. 如下面讨论的那样，可将一部分或全部第一电流瞬态用于文中描述的方法以确定是对照溶液还是血液样本被施加至测试条62。  As discussed below, methods described herein can be a part or all of the first current transient for control solution or to determine whether a blood sample is applied to the test strip 62. 第一暂态电流的强度受样本中易氧化物质存在的影响。 Effects of transient current strength of the first oxidizing species present in the sample by easily. 血液通常含有易于在第二电极164上被氧化的内生性和外生性化合物。 Blood usually contains the second electrode 164 easily oxidized endogenous and exogenous compounds. 相反，可以配制对照溶液以使其不含有可氧化化合物。 Conversely, the control solution can be formulated so that it does not contain oxidizable compounds. 然而，血液样本成分可能会有不同，且高粘性血液样本的第一电流瞬态的强度通常会比低粘性样本低(在某些情况下甚至低于对照样本)，因为在约0.2秒后,样本反应室61可能还没有被完全充满。 However, blood sample composition may vary, and the strength of the first current transient high viscosity blood samples will typically be lower than low viscosity samples (in some cases even lower than the control sample), because after about 0.2 seconds, sample reaction chamber 61 may not be completely filled. 未完全充满可能导致第一电极166和第二电极164的有效面积减小，其随之可能导致第一电流瞬态减小。 Not completely filled may result in an effective area of ​​the first electrode 166 and second electrode 164 is reduced, which in turn may cause the first current transient is reduced. 因此，因为血液样本中的差异，样本中本身可氧化物质的存在并不总是充分的区分因素。 Therefore, because of differences in blood samples, the presence of oxidized material in the sample itself is not always sufficient differentiators. 在测试仪表100停止施加第一测试电位E1后，其可以被配置以切换至第二开路，历时开路时间间隔Ttc2，在图6的实施例中Ttc2约是0.65秒。  After the test meter 100 stops applying the first test potential E1, which may be configured to switch to a second open, open over the time interval tTc2, in the embodiment of FIG. 6 tTc2 is about 0.65 seconds. 在另一个实施方案中，第二开路时间间隔Ttc2可以在约0.1秒至约2.0秒的范围内，且优选在约0.3秒至约1.5秒之间，以及最优选在约0.5至1.0秒之间。 In another embodiment, the second open-circuit time interval between Ttc2 may range from about 0.1 seconds to about 2.0 seconds, and preferably between about 0.3 seconds to about 1.5 seconds, and most preferably from about 0.5 to 1.0 seconds . 在其它实施方案中，第二开路时间间隔Ttc2可以是任何其它合乎需的时间间隔。 In other embodiments, the second open-circuit time interval may be any other desirable Ttc2 for an interval of time. 实施第二开路的原因之一是为样本反应室61完全充满提供充足的时间、允许试剂层72分解、以及允许还原的介质和氧化的介质在分别的第一电极166和第二电极164上从由第一测试电位El导致的扰乱中重新平衡。  One of the reasons of the second embodiment is open to provide sufficient time for the sample reaction chamber 61 is completely filled, to allow decomposition of the reagent layer 72, and allowing the oxidation-reduction media and media in the first electrode and the second electrode 166, respectively 164 rebalancing the first scrambling test potential cause of El. 尽管样本反应室61通常被迅速充满，但第二开路时间间隔对于可能引起充满时间增加的条件来说也是足够长的，所述条件有低环境温度(例如，约5°C )和高血细胞比容水平(例如，>60%血细胞比容)。 Although the sample reaction chamber 61 is generally filled quickly, but also a second open-circuit time interval is long enough for the full time conditions may cause an increase in the conditions of low ambient temperatures (e.g., about 5 ° C) and high hematocrit tolerance levels (e.g.,> 60% hematocrit). 在第一测试电位E1期间，还原的介质可能在第二电极164上被耗尽并且可以在第一电极166上产生，从而形成浓度梯度。  During the first test potential E1, reduced mediator may be exhausted on the second electrode 164 and may be generated on the first electrode 166, thereby forming a concentration gradient. 第二开路电位提供让还原的介质浓度变得更接近于施加第一测试电位E1片刻之前的状态。 The second open-circuit potential provides concentration of the reducing medium so becomes a state before first test potential E1 is applied closer to the moment. 如下面描述的那样，足够长的第二开路电位是有用的，因为其可以允许在有干扰物存在的情况下计算葡萄糖浓度。 As described below, a sufficiently long second open-circuit potential is useful because it can allow glucose concentrations were calculated in the case of the presence of interference. 在另外的实施方案中，可以在仪表能够检测测试条在充满样本时和施加第二测试电位E2之前之间，在电极之间持续施加测试电位E/。  In a further embodiment, the instrument may be capable of detecting the test strip when filled with sample and before a second test potential E2 between the applied test potential is continuously applied between the electrodes E /. 一方面，测试电位E/很小。 On the one hand, test potential E / small. 例如，电位可以是在约-1至约-1OOmV之间,优选在约_5mV至约_50mV之间，以及最优选在约-1OmV至约-30mV之间。 For example, the potential may be between about 1 to about -1OOmV, preferably between about _5mV about _50mV, and most preferably between about -1OmV about -30mV. 更小的电位比施加更大的电位差异能更小程度的干扰还原的介质浓度梯度，但是仍然足够于得到样本中可氧化物质的测量。 The smaller the potential difference larger than the potential applied to the concentration gradient medium degree of interference can be less reduced, but still enough to be measured oxidizable species in the sample. 测试电位E/可以在检测填充和施加第二检测电位E2之间的一部分时间施加，或可以在整个这个时间段施加。 Test potential E / may be applied to part of the time between detection of fill and the second predetermined potential is applied to E2, or may be applied throughout this time period. 如果测试电位E/是在该时间的一部分应用，则可以在剩余的时间部分施加开路。 If the test potential E / application part is at that time, it may be applied to the open portion of the remaining time. 只要施加小电位E/的总时间足够于得到表明存在于样本中可氧化物质的存在和/或量的电流测量，就可以施加任意数目的开路和小伏特电位组合，其顺序和施加时间在这一实施方案中不重要。 The total time may be applied to the small potential E / are sufficient for the presence of oxidizable substances obtained indicate the presence and / or amount of current measurement in the sample, it can be applied to any number of combinations of open and small volt potential, and the application time thereof in this order in an important embodiment. 在优选的实施方案中，基本上在检测充满和施加第二测试电位E2之间的整个时段施加小电位E/。 In a preferred embodiment, the detection of full and substantially applying a small potential E is applied for the entire period between the second test potential E2 /. 一旦第二开路时间间隔Ttc2或在小电位E/实施方案中相同的时间已经过去，测试仪表100能够在第一电极166和第二电极164之间施加第二测试电位E2,历时第二测试电位时间间隔T2。  Once the second open-circuit time interval or a small potential Ttc2 E / embodiments the same time has elapsed, the test meter 100 can apply a second test potential E2 between the first electrode 166 and second electrode 164 over a period of two test potential time interval T2. 在第二测试电位时间间隔T2期间，测试仪表100能够测量第二电流瞬态ib(t)。 In a second test potential time interval T2, test meter 100 can measure a second current transient ib (t). 在第二电位时间间隔T2过去后，测试仪表能够在第一电极166和第二电极164之间施加第三测试电位E3，历时第三测试电位时间间隔T3，其可以称做ie(t)。 T2 elapsed after the second potential time interval, the test meter can be applied between the first electrode 166 and second electrode 164 of the third test potential E3, over a third test potential time interval T3, which may be called ie (t). 第二测试电位时间间隔T2和第三测试时间间隔T3每个都可以在约0.1秒至约4秒的范围内。 The second test potential time interval T2 and the third test time interval T3 can each range from about 0.1 seconds to about 4 seconds. 对于图6所示的实施方案，第二测试电位时间间隔T2大约是3秒，以及第三测试电位时间间隔T3大约是I秒。 For the embodiment shown in Figure 6, the second test potential time interval T2 of about 3 seconds, and the third test potential time interval T3 is approximately I second. 如上面提到的那样，可以让开路电位时间期间在第二测试电位E2和第三测试电位E3之间过去。 As mentioned above, you can make during the open-circuit potential time elapsed between the second test potential E2 and the third test potential E3. 或者，第三测试电位E3可以在施加第二测试电位E2后施加。 Alternatively, the third test potential E3 can be applied after the second test potential E2 is applied. 注意第一、第二、或第三电流瞬态的一部分通常可以被称为池电流或电流值。 Note that the first, second, or third current transient may be generally referred to as a part of the cell current or a current value. 在一个实施方案中，第一测试电位E1和第二测试电位E2都具有第一极性，以及第三测试电位E3具有与第一极性相反的第二极性。  In one embodiment, the first test potential E1 and second test potential E2 having a first polarity, and a third test potential E3 has a second polarity opposite the first polarity. 然而，本领域技术人员能理解，可以根据确定分析物浓度的方法和/或区分测试样本和对照溶液的方法选择第一、第二以及第三测试电位的极性。 However, those skilled in the art can understand, may select the first, second, and third test potential polarity according to a method of determining analyte concentration and / or the test sample and a method of distinguishing control solutions. 相对于第二电极164来说，第一测试电位E1和第二测试电位&的强度可以是足够负的，这使得第二电极164作为在其中测量极限氧化电流的工作电极。  For the second electrode 164 with respect to, the first test potential E1 and second test potential can be sufficient intensity & negative, which makes the second electrode 164 as the working electrode in which a limiting oxidation current is measured in. 相反，相对于第二电极164来说，第三测试电位^的强度可以是足够正的，这使得第一电极166作为在其中测量极限氧化电流的工作电极。 In contrast, with respect to the second electrode 164, the third test potential can be sufficient strength ^ n, which makes the first electrode 166 as the working electrode in which a limiting oxidation current is measured in. 极限氧化发生在当所有的可氧化的试剂种类已经在工作电极表面局部地耗尽时，因此所测得的氧化电流与从本体溶液向工作电极表面扩散的可氧化的试剂种类的通量成比例。 Limiting oxidation occurs when all the oxidizable reagent type has been depleted at the working electrode surface locally, thus the flux is proportional to the measured oxidation current oxidizable reagent species diffusing from the bulk solution towards the working electrode surface . 术语本体溶液是指离工作电极足够远的一部分溶液，可氧化的试剂种类在这里不位于耗尽区中。 The term bulk solution refers to a portion of the solution sufficiently far away from the working electrode, the reagent type oxidizable here not located in the depletion region. 当使用喷溅金或钯工作电极和铁氰化物介质时，第一测试电位E1、第二测试电位E2、第三测试电位E3是约-0.6伏特至约+0.6伏特的范围(相对于第二电极164而言)。 When sputtering using gold or palladium working electrode and a ferricyanide medium, a first test potential E1, E2 of the potential of the second test, the third test potential E3 in a range from about -0.6 volts to about +0.6 volts (relative to the second For electrode 164). 图7显示了由测试仪表100和使用对照溶液样本(虚线)或血液样本(实线)的测试条62产生的第一、第二和第三电流瞬态。  FIG. 7 shows a first, second and third current transient test meter 100 and a control solution sample (dotted line) or a blood sample (solid line) using a test strip 62 produced. 对照溶液样本含有525mg / dL葡萄糖浓度，血液样本含有530mg / dL葡萄糖浓度并具有约25%血细胞比容。 Control solution sample containing 525mg / dL glucose concentrations, blood sample containing 530mg / dL glucose concentration, and about 25% hematocrit. 图8显示了图7的第一和第二电流瞬态的展开图。 Figure 8 shows a first and a second current transient is expanded in FIG. 7 to FIG. 图7和8显示了当施加图6所示的电位波形时得到的电流瞬态。 7 and FIG. 8 shows the current transient when the potential applied to the waveform shown in FIG. 6 is obtained. 下面将详细说明怎样将电流瞬态转换为测试溶液或对照溶液的准确的葡萄糖测量。 The detail will be described below how the current transient is converted to an accurate glucose measurement test solution or control solution. 如图12所示，测试仪表100可以通过在规定的时间间隔施加多个测试电位而完成葡萄糖测试。  As shown in FIG. 12, the test meter 100 can be spaced at a predetermined potential applied to a plurality of test time to complete glucose test. 多个测试电位可以包括历时第一测试电位时间间隔T1的第一测试电位E/，历时第二测试电位时间间隔T2的第二测试电位E2,以及历时第三测试电位时间间隔T3的第三测试电位E3。 May include a plurality of test potentials for a first test potential time interval T1 is the first test potential E /, for a second test potential time interval T2, the second test potential E2, and over a third test potential time interval T3 of the third test potential E3. 在第一、第二、第三测试时间间隔期间测得的多个测试电流值可以以从约每纳秒I个测量至约每100毫秒I个测量的频率完成。 A plurality of test current values ​​measured during the first, second, third test time interval can be done at a frequency of approximately 100 milliseconds per I measurement per nanosecond ranges from about I to measurement. 本领域技术人员能理解，命名“第一”、“第二”、“第三”是为了选择方便，而不是必然地反应测试电位施加的顺序。 Those skilled in the art will appreciate, named "first," "second," "third," is selected for convenience, and not necessarily the order of the reaction test potential applied. 一旦用图12的测试电位波形开始葡萄糖测试，测试仪表100可能施加第一测试电位E/ (例如-20mV)，历时第一测试电位时间间隔T1 (例如，约O至约I秒之间)。  Once the test potential waveform of FIG. 12 with the start of a glucose test, the test meter 100 may apply a first test potential E / (e.g. -20 mV), for a first test potential time interval T1 (e.g., from about O to about I seconds between). 第一测试电位时间间隔T1可以在约0.1秒至约3秒的范围内，以及优选约0.2秒至约2秒的范围，以及最优选约0.3秒至约I秒的范围。 The first test potential time interval T1 may be, and preferably in the range from about 0.2 seconds to about 2 seconds, and most preferably in the range from about 0.1 seconds to about 0.3 seconds to about 3 seconds to about I second. 第一测试电位时间间隔T1可以足够长，以使样本反应室61可以完全充满样本，也使试剂层72至少一部分分解或溶解。 The first test potential time interval T1 may be sufficiently long so that the sample reaction chamber 61 can be completely filled with the sample, reagent layer 72 also at least a portion of the decomposition or dissolution. 一方面，第一测试电位ΕI'可以是相对接近于介质氧化还原电位的值，以测量相对小量的还原或氧化电流。 In one aspect, the first test potential ΕI 'may be relatively close to the redox potential of the medium, to measure a relatively small amount of reduction or oxidation current. 图13显示了与在第二和第三测试电位时间间隔期间相比，在第一测试电位时间间隔期间能够观测到的相对小量的电流。 FIG 13 shows current than during the second and third test potential time interval, during the first test potential time interval can be observed in a relatively small amount. 例如，当使用铁氰化物和/或亚铁氰化物作为介质时，第一测试电位ΕI'可以在从约-1OOmV至约-1mV的范围内，优选-50mV至约_5mV的范围，以及最优选约-30至约-1OmV的范围。 For example, when using ferricyanide and / or ferrocyanide as the medium, a first test potential ΕI 'may range from about to about -1mV -1OOmV is preferably in the range -50mV to about _5mV, and most preferably in the range of from about -30 to about -1OmV. 在施加第一测试电位E1'后,测试仪表100能够在第一电极166和第二电极164之间施加第二电位E2 (例如，如图12阐述的约-0.3伏特)，历时第二测试电位时间间隔T2 (例如，如图12阐述的约3秒)。  After applying the first test potential E1 ', the test meter 100 can apply a second potential E2 (e.g., 12 to about -0.3 volts forth) between the first electrode 166 and second electrode 164 over a period of two test potential time interval T2 (e.g., set forth in FIG. 12 for about 3 seconds). 第二测试电位E2可以是介质氧化还原电压的足够负的值，以使得极限氧化电流在第二电极164上产生。 The second test potential E2 can be sufficiently negative of the mediator redox voltage value, so that a limiting oxidation current generated at the second electrode 164. 例如，当使用用铁氰化物和/或亚铁氰化物作为介质时，第二测试电位E2可以在从约_600mV至约OmV的范围,优选_600mV至约-1OOmV的范围，以及更优选约_300mV 。 For example, when using ferricyanide and / or ferrocyanide as a medium, the second test potential E2 may range from about to about OmV _600mV, preferably from about -1OOmV _600mV range, and more preferably from about _300mV. 第二测试电位时间间隔T2可以足够长，以基于极限氧化电流的强度监测样本反应室61中还原介质(例如,亚铁氰化物)的产生速率。  The second test potential time interval T2 may be long enough to produce a sample rate based on intensity monitoring current limiting oxidation reaction chamber 61 of reduced mediator (e.g., ferrocyanide) in. 还原介质可以在试剂层72中通过一系列化学反应而产生。 Reducing agent can be produced by a series of chemical reactions in the reagent layer 72. 在第二测试电位时间间隔T2期间，极限量的还原介质在第二电极164上被氧化且非极限量的氧化介质在第一电极166上被还原，从而在第一电极166和第二电极164之间形成浓度梯度。 During the second test potential time interval T2, the limit amount of reduced mediator is oxidized and non-oxidized limit amount of medium is reduced at the first electrode 166 on the second electrode 164 so that the first electrode 166 and second electrode 164 form a concentration gradient between. 如将要描述的那样，第二测试电位时间间隔T2应该足够长以使得在第二电极164上产生足够量的铁氰化物。 As will be described, the second test potential time interval T2 should be long enough so as to generate a sufficient amount of ferricyanide at the second electrode 164. 在第二电极164上可能需要足够量的铁氰化物，以使得第三测试电位E3期间在第一电极166上可以测得氧化亚铁氰化物的极限电流。 On the second electrode 164 may require a sufficient amount of ferricyanide, such that the third electrode 166 on the first test potential E3 can be measured during the current limit oxidation of ferrocyanide. 第二测试电位时间间隔T2可以在从约O秒至约60秒的范围内，优选约I秒至约10秒的范围，以及最优选约2秒至约5秒的范围。 The second test potential time interval may range from about O seconds to about 60 seconds preferably from about I second to about 10 seconds, and T2 in the range, most preferably from about 2 seconds to about 5 seconds. 图13显示了第二测试电位时间间隔T2开始时的相对小的峰，随后是在第二测试电位时间间隔期间(例如，在约I秒至约4秒之间)氧化电流绝对值的逐渐增加。  FIG. 13 shows a period (e.g., between about I second to about 4 seconds) oxidation current absolute value of the second test potential time interval is relatively small peak at the beginning of T2, followed by a second test potential time interval gradually increase. 小峰的发生是归因于约I秒时还原介质的初始耗尽。 The occurrence of a small peak is attributed to about I seconds to restore the initial depleted medium. 氧化电流的逐渐增加归因于试剂层72产生亚铁氰化物以及亚铁氰化物随后扩散至第二电极164的过程。 Gradually increasing oxidation current due to the reagent layer 72 generates ferrocyanide and ferrocyanide is then diffused to the second electrode 164 of the process. 在施加第二测试电位E2后，测试仪表100能够在第一电极166和第二电极164之间施加第三测试电位E3(例如，如图12阐述的约+0.3伏特)，历时第三测试电位时间间隔T3(例如，如图12阐述的约4至约5秒之间)。  After applying the second test potential E2 of, the test meter 100 can apply a third test potential E3 (e.g., set forth in FIG. 12 about +0.3 volts) between the first electrode 166 and second electrode 164 over a period of three test potential time interval T3 (e.g., as set forth between about 12 4 to about 5 seconds). 第三测试电位E3可以是介质氧化还原电位的足够正的值，以使得在第一电极166上测得极限氧化电流。 The third test potential E3 can be sufficiently positive of the redox potential of the medium, so that a limiting oxidation current is measured on the first electrode 166. 例如，当使用铁氰化物和/或亚铁氰化物作为介质时，第三测试电位E3可以在从约OmV至约600mV的范围内，优选IOOmV至约600mV的范围，以及更优选约300mV。 For example, when using ferricyanide and / or ferrocyanide as the medium, the third test potential E3 may be in the range of from about OmV to about 600mV, and preferably to a range of about 600mV IOOmV, and more preferably about 300mV. 第三测试电位时间间隔1~3可以足够长以基于氧化电流的强度监测在第一电极166附近的还原介质(例如，亚铁氰化物)的扩散。  The third test potential time interval of 1 to 3 based on the strength may be sufficiently long to monitor the diffusion of the oxidation current of the first electrode 166 in the vicinity of reduced mediator (e.g., ferrocyanide) in. 在第三测试电位时间间隔T3期间，极限量的还原介质在第一电极166上被氧化且非极限量的氧化介质在第二电极164上被还原。 In a third test potential time interval T3 period, limit the amount of reduced mediator is oxidized at first electrode 166 and the upper limit amount of non-oxidizing medium is reduced on the second electrode 164. 第三测试电位时间间隔T3可以在从约0.1秒至约5秒的范围内，优选约0.3秒至约3秒的范围，以及最优选约0.5秒至约2秒的范围。 The third test potential time interval T3 can range from about 0.1 seconds to about 5 seconds, preferably from about 0.3 seconds to about 3 seconds, and the range, most preferably from about 0.5 seconds to about 2 seconds. 图13显示了在第三测试电位时间间隔T3开始时的相对大的峰，随后下降至稳态电流。  Figure 13 shows a relatively large peak at the beginning of T3 in the third test potential time interval, and then drops to a steady state current. 在一个实施方案中，第二测试电位E2具有第一极性且第三测试电位E3可以具有与第一极性相反的第二极性。 In one embodiment, the second test potential E2 having a first polarity and the third test potential E3 may have a second polarity opposite the first polarity. 然而，本领域技术人员能理解可以根据确定分析物浓度的方法选择第二和第三测试电位的极性。 However, those skilled in the art can understand may be selected polarity of the second and third test potential according to the method of determining analyte concentration. 在Eq.1中，[G]是匍萄糖浓度，I1是第一电流值，i2是第二电流值，及“是第二电流值，术语P、Z和a是经验获得的校准常数。Eq.1的推导可以在未作决定的美国公开专利申请号2007 / 0074977(美国申请系列号11 / 240, 797)中找到，其标题为“用于快速电化学分析的方法和装置”，于2005年9月30号提出申请，其全文在此引入作为参考。第一电流值I1和第二电流值从第三电流瞬态计算，第三电流值i3从第二电流瞬态计算。本领域技术人员能够理解，命名“第一”、“第二”、“第三”是为了选择方便，而不是必须反应出计算电流值的顺序。此外，Eq.1中所标出的所有电流值(例如ϋ、和i3)均使用电流绝对值。  In the Eq.1, [G] is a creeping grape sugar concentration, I1 is the first current value, i2 is the second current value, and the "second current value is, the term P, Z and a are empirically obtained .Eq.1 derived calibration constants can be found in the U.S. have not been determined Patent application Publication No. 2007/0074977 (U.S. application Serial No. 11/240, 797), a method and apparatus entitled "rapid electrochemical analysis for ", 2005 filed September 30, which is hereby incorporated by reference. the first current value I1 and the second current value is calculated from the third current transient, third current value i3 is calculated from the second current transient those skilled in the art will appreciate that names "first," "second," "third" choice for convenience, but not necessarily reflect the order of the calculated current value. in addition, as indicated in Eq. 1 for all current value (e.g. ϋ, and I3) are using the absolute value of the current. 术语ipb代表第二测试电位时间间隔T2的峰电流值，以及术语ip。  The term ipb represents a second test potential time interval T2, the peak current value, and the term ip. 代表第三测试电位时间间隔T3的峰电流值。 Representing the third test potential time interval T3 of the peak current value. 术语iss是稳态电流的估计值，其是预测的在缺乏正在进行的化学反应的情况下施加第三测试电位E3很长一段后发生的电流。 The term iss is the steady-state value of the current estimate, which is applied to a current predicted third test potential E3 occur after a long period in the absence of ongoing chemical reactions. 在使用Eq.2时，第二开路电位时间间隔Ttc2优选足够长以允许Eq.2补偿干扰物的存在。 Eq.2 In use, the second open-circuit potential time interval is preferably long enough to allow Ttc2 Eq.2 compensation interferents present. 当第二开路电位时间间隔Ttc2太短时，第二峰电流值ipb可能变歪曲并且可能降低干扰物校正计算的效力。 When the second open-circuit potential time interval Ttc2 is too short, the second peak current value ipb can become distorted and can reduce the effectiveness of the interferent correction calculations. 应用峰电流值来解释生理学样本中的干扰物描述于2006年3月31日申请的美国公开专利申请号2007 / 0227912(美国专利申请系列号11 / 278，341)，其标题为“在有干扰物存在的情况下分析样本的方法和装置”，其全文在此引入作为参考。 Application peak current value to explain the physiological interferences in the sample described in the March 31, 2006 filed US Published Patent Application No. 2007 / 0,227,912 (US Patent Application Serial No. 11 / 278,341), entitled "interference in method and apparatus "in the case of the presence of an analyte sample, which is hereby incorporated by reference. 在一个实施方案中，可以一起使用Eq.1和Eq.2来计算血液或对照溶液的葡萄糖浓度。  In one embodiment, can be calculated using Eq.1 and Eq.2 control solution or a blood glucose concentration together. 在另一个实施方案中，可将Eq.1和Eq.2的算法与第一套校准因素(即a、p和Z)用于血液，以及与第二套校准因素用于对照溶液。 In another embodiment, Eq. 1 and Eq.2 of the first set of calibration factors algorithm (i.e. a, p, and Z) can be used for blood, and a second set of calibration factors for the control solution. 当使用两套不同的校准因素时，本文描述的用于区分测试液体和对照液体的方法可以改善分析物浓度计算的效力。 When using two different sets of calibration factors, the method of distinguishing the control liquid and the test liquid can be used to improve the effectiveness of the analyte concentration calculated as described herein. 此外，如果测试仪表确定样本是对照溶液(与血液相反)，测试仪表能储存得到的对照样本的葡萄糖浓度以使得使用者能够与对照溶液数据分开回顾测试样本浓度数据。  In addition, the test meter to determine if the sample is a control solution (blood and contrast), the glucose concentration of the control sample obtained test instrument can be stored to enable the user to review test sample concentration data separately from control solution data. 例如，可将对照溶液的葡萄糖浓度储存于分开的数据库中，可将其标记，和/或抛弃(即不储存或储存很短的时间)。 For example, the glucose concentration control solution may be stored in a separate database, can be marked, and / or discarded (i.e., not stored or stored for a short time). 能够识别对照溶液的另一个优点是可以编程测试仪表以自动将测得的对照溶液的结果(例如，葡萄然浓度)与对照溶液预期的葡萄糖浓度相比较。  Another advantage can be identified in control solution test meter can be programmed to automatically control the measured results of the solution (e.g., natural grape concentration) with the expected glucose concentration control solution is compared. 例如，可用对照溶液的预期葡萄糖水平预编程测试仪表。 For example, the solution can be used against the expected glucose level of pre-programmed test instrument. 或者，使用者可以输入对照溶液的预期葡萄糖浓度。 Alternatively, the user may input against the expected glucose concentration of the solution. 当测试仪表识别出对照溶液时，测试仪表可以将测得的对照溶液葡萄糖浓度与预期的葡萄糖浓度相比较，以确定仪表是否运行正常。 When the test meter recognizes a control solution, the test meter can compare the measured control solution glucose concentration with the expected glucose concentration is compared to determine if the instrument is functioning properly. 如果测得的葡萄糖浓度超出了预期范围，测试仪表能够输出报警信号以提醒使用者。 If the measured glucose concentration exceeds the expected range, the test meter can output a warning signal to alert the user. 在一个实施方案中，本文描述的方法应用氧化还原试剂种类的存在来区分对照溶液和血液样本。  In one embodiment, the methods of application described herein reducing the presence of oxidizing agents to distinguish between types of blood samples and control solutions. 该方法可以包括施加第一测试电位E/和应用一个或多个在测试电位期间测得的电流值作为鉴别指标的步骤。 The method may comprise the step of first test potential E / application and one or more current values ​​measured during the test potential as a discriminator index is applied. 一方面，加和从第一测试电位E/的两个电流值并用作鉴别指标。 In one aspect, the first test potential plus E / from the two current values ​​and used as identification indicators. 图8显示了对照溶液、血浆、具有48%血细胞比容的血液样本、以及具有77%血细胞比容的血液样本的数据。 Figure 8 shows a control solution, plasma, a blood sample with 48% hematocrit, and a blood sample data hematocrit of 77%. 第I秒施加了约20mV的电位，并且加和在约0.2秒至约0.5秒的电流值。 I, a second potential of about 20mV applied, and the summed current values ​​from about 0.2 seconds to about 0.5 seconds. 如图8所示，加和的电流值足够区分对照溶液(基本上缺乏干扰物)和血液样本。 8, and the current value plus sufficient to distinguish the control solution (substantially devoid of interferents) and blood samples. 在另一个实施方案中，应用对照溶液的两个特征来区分对照溶液和血液:样本中氧化还原试剂种类的存在和/或浓度以及反应动力学。  In another embodiment, the two control features of the application solution to distinguish between control solution and blood: reagent sample in the presence of redox species and / or concentration and reaction kinetics. 本文公开的方法可以包括计算代表样本中氧化还原物质浓度的第一参照值和代表样本与试剂反应速率的第二参照值的步骤。 The method disclosed herein may comprise the step of calculating a representative sample of the second reference value is a reference value representing a first oxidation reaction with a reagent sample rate reducing substance concentrations. 在一个实施方案中，第一参照值是干扰物氧化电流以及第二参照值是反应完成百分数。 In one embodiment, the first reference value is interferent oxidation current and the second reference value is a reaction completion percentage. 就样本中氧化还原种类而言，血液通常含有许多内源性氧化还原物质种类或“干扰物”，诸如抗坏血酸和尿酸，以及外源衍生的干扰物，诸如龙胆酸(龙胆酸是阿司匹林的代谢物)。  For redox species in the sample, the blood typically contains many species of endogenous redox species or "interferents" such as ascorbic acid and uric acid, and derivatives of exogenous interferents, such as gentisic acid (gentisic acid It is a metabolite of aspirin). 内源性干扰物是在电极上容易被氧化的化学物质，其在血液中的存在量对正常个体来说通常在生理范围内。 Endogenous interferents on the electrode is easily oxidized chemical substance which is present in an amount in the blood of normal individuals is normally within the physiological range. 外源衍生的干扰物也是在电极上容易被氧化的化学物质，但通常不存在于血液中，除非他们通过消费、注射、吸收等被输入。 Exogenously derived interferents are also easily oxidized on the electrode chemicals, but not normally present in blood unless they by consumption, injection, absorption, etc. are inputted. 可以配制基本上不含抗氧化剂，或与血液样本中干扰物浓度相比具有相对高的干扰物浓度的对照溶液。  can be formulated substantially free of an antioxidant, a blood sample or interfering with the concentration control solution having a relatively high interferent concentration compared. 在使用基本上没有抗氧化剂的对照溶液的情况下，对照溶液的第一电流瞬态强度应该比血液样本小，如图9所示。 In the case where substantially no antioxidant control solution, control solution of the first current transient should be smaller than the strength of the blood sample, as shown in FIG. 在对照溶液具有相对高浓度的干扰物的情况下，对照溶液的第一电流瞬态量应该比血液样本大(数据未给出)。 In the case of disturbance control solution having a relatively high concentration, the amount of the first current transient should be larger than the control solution a blood sample (data not shown). 术语isum是电流值的总和，t是时间。  The term & isum is the sum of current values, t is the time. 第一参照值可以称为干扰物指数，因为它与干扰物浓度成比例且基本上不依赖于葡萄糖浓度。  The first reference value may be referred interferent index because it is proportional to the interferent concentration and substantially independent of the glucose concentration. 因此，理论上测试仪表基于干扰物指数应该能够区分样本是血液还是对照溶液。 Thus, in theory, the test meter based on the interferent index should be able to distinguish between a blood sample or a control solution. 然而，实际上，仅利用干扰指数不总是足够区分血液和对照溶液。 However, in practice, using only the interferent index is not always sufficient to distinguish between blood and control solution. 尽管血液通常具有非常高的干扰物浓度，但在一些情况下血液的第一电流瞬态可能减弱以致于其可以与对照溶液相比。 Although blood typically has a very high concentration of interferents, but in some cases a first current transient decrease in blood such that it may be compared to a control solution. 这些情况包括高葡萄糖浓度、高血细胞比容、低温以及样本反应室61未完全充满。 These conditions include high glucose concentration, high hematocrit, low temperature, and the sample reaction chamber 61 is not completely filled. 因此，在一个实施方案中，实施附加的因素以使得测试仪表能充分地区分血液和对照溶液。 Thus, in one embodiment, additional factors can be implemented such that the test meter blood and control solution sufficient partial area. 用于帮助区分血液和对照溶液的附加因素可以是第二参照值。  Additional factors to help distinguish between blood and control solution can be a second reference value. 第二参照值可以称为剩余反应指数，其可以是剩余底物百分数函数的值，如果给与足够时间的话，所述剩余底物能够反应。 The second reference value may be referred to as a residual reaction index, which may be a function of the percentage value of the remaining substrate, if given sufficient time, the remaining substrate can react. 剩余反应指数与反应速率相关，因为高反应速率可以促使底物被反应消耗掉。 Residual reaction index related to the reaction rate, since the high reaction rate can cause the substrate is consumed reaction. 然而，剩余反应指数也取决于底物浓度的初始量。 However, the residual reaction index dependent on the initial amount of substrate concentration. 试剂层72可以包括基于PQQ辅因子的葡萄糖脱氢酶(⑶H)和铁氰化物。  The reagent layer 72 may include PQQ based glucose dehydrogenase cofactor (⑶H), and ferricyanide. 在另一个实施方案中，可以用基于FAD辅因子的酶GDH替代基于PQQ辅因子的酶GDH。 In another embodiment, an enzyme may be based on alternative GDH FAD cofactor enzyme-based GDH PQQ co-factor. 当将血液或对照溶液分配至样本反应室61时，葡萄糖被⑶H(m)氧化并且在这一过程中将⑶H(m)转化为OTHfed)，如以下Eq.4所示。 When blood or control solution dispensed into the sample reaction chamber 61, glucose is ⑶H (m) is oxidized and converted in the process OTHfed ⑶H (m)), as shown in the following Eq.4. 注意⑶H(m)代表⑶H的氧化状态，以及⑶Htod)代表⑶H的还原状态。 Note ⑶H (m) representative of ⑶H oxidation state, and ⑶Htod) representative of the reduced state ⑶H. 1.2和约4秒之间)更低的事实已经证实这一点。 Between 1.2 and about 4 seconds) has less confirm this fact. 因为对照溶液与血液相比具有更快的反应速率，因此对照溶液的剩余反应指数一般会比血液更低。 Because the control solution and the blood compared to faster reaction rates and thus the control solution, the residual reaction index will generally be lower than in the blood. 对于Eq.6的分母，应用了第二电流瞬态在3.8秒的电流值。  Eq.6 denominator for the application of the second current transient current value of 3.8 seconds. 3.8秒的时间是经验选取的，但本领域技术人员能理解也可以应用其它的电流值。 Time of 3.8 seconds is chosen experience, one skilled in the art will appreciate may also be applied to other current value. 在一个实施方案中，选择在约第二电流瞬态终点的电流值。 In one embodiment, selected current value at about the end of the second current transient. 在第二测试电位时间间隔T2期间，还原介质在第二电极164上被氧化。 During the second test potential time interval T2, reduced mediator is oxidized at the second electrode 164. 在第二测试电位时间间隔T2期间测得的电流值的量可归因于第一电极166上由试剂层72产生的随后扩散至第二电极164的亚铁氰化物的量。 The amount of the second test potential time interval measured current value of the period T2 may be attributed to the amount of ferrocyanide is then diffused to the second electrode 164 on the first electrode 166 generated by the reagent layer 72. 假设试剂层在其分解于血液中后保持在第一电极166附近。 Suppose reagent layer remains in the vicinity of the first electrode 166 after its decomposition in the blood. 结果，通过第二电极164被氧化的大部分亚铁氰化物必然需要从第一电极166扩散。 As a result, most of the ferrocyanide is oxidized by the second electrode 164 necessarily need to diffuse from the first electrode 166. 对于Eq.6的分子，应用了在约4.15秒的电流值。  For Eq.6 molecules, applied current value is approximately 4.15 seconds. 可以选择其它来自第三电流瞬态的电流值，然而在约第三电流瞬态起点的电流值是优选的。 Can select another value from the third current transient current, but the current value starting from about the third current transient are preferred. 在第三测试电位时间间隔T3期间，还原介质在第一电极166上被氧化。 During the interval T3 in the third test potential time, reduced mediator is oxidized on the first electrode 166. 在第二测试电位时间间隔T2期间测得的电流值的强度可以归因于在第一电极166上由试剂层72产生的不从第一电极166扩散足够远的亚铁氰化物的量。 Intensity of the current value in the second test potential time interval T2 period measured can be attributed to the amount of proliferation is not far enough ferrocyanide from the first electrode 166 on the first electrode 166 generated by the reagent layer 72. 由于试剂层72保持在第一电极166附近，第三电流瞬态电流值的强度通常会比第二电流瞬态更大。 Since the reagent layer remains in the vicinity of the first electrode 16672, the current strength of the third current transient will generally be larger than the value of the second current transient. 此外，第三电流瞬态强度比第二电流瞬态更大是因为试剂层72有更多的时间产生亚铁氰化物。 Further, the intensity of the third current transient is greater than the second current transient because the reagent layer 72 has more time to generate ferrocyanide. 因此，如果在测量时葡萄糖反应仍然远没有完成，Eq.6所示的绝对值会更大。 Therefore, if the glucose response is still far from complete at the time of measurement, the absolute value of Eq.6 shown will be even greater. 在这一等式中，L是第一电极166和第二电极164之间的距离，F是法拉第常数，A是电极166的面积，以及D是扩散系数。  In this equation, L is a distance between the first electrode 166 and second electrode 164, F is the Faraday constant, A is the area of ​​electrode 166, and D is the diffusion coefficient. 关于Eq.8的其它细节可参见美国专利号6，284，125，其全文在此引入作为参考。 Eq.8 Further details may be found in U.S. Patent No. 6,284,125, which is hereby incorporated by reference. 应当注意，选择用于剩余反应指数的电流值的时间(例如，4.15,3.8)是经验选取的。  It should be noted that, for the selected time (e.g., 4.15,3.8) the current value of the residual reaction index is selected experience. 评估了大量电流比值的区分血液和对照溶液样本的能力。 We assessed the ability to distinguish between blood and control solution samples large amount of current ratio. 选择了如Eq.6或Eq.7所示的比值是因为发现其能产生血液和对照溶液样本间的显著分离。 Or ratios selected as shown in Eq.6 Eq.7 is as it was found to produce significant separation between blood and control solution samples. 得到区分线以允许测试仪表确定样本是对照溶液还是血液。  obtained separation lines to allow the test meter to determine the sample is a control solution or blood. 对于所有经测试的对照溶液，相对剩余反应指数对干扰物指数进行绘图。 For all tested control solution, the residual reaction index relative to the interferent index was plotted. 接下来，应用线性回归对对照溶液样本计算曲线。 Next, a linear regression curve calculated control solution samples. 在计算了曲线的方程后，计算每个数据点和曲线之间的垂直偏差(perpendicular bias)。 After calculating equation curve, calculate the vertical deviation (perpendicular bias) between each of the data points and curves. 垂直偏差代表数据点和曲线之间最短的距离，与通常计算的竖直偏差(vertical bias)相对。 The shortest distance between the vertical deviation representing the data points and curves, with the vertical relative deviation (vertical bias) is usually calculated. 确定所有垂直偏差的标准偏差(SDpwp)。 The standard deviation of all vertical deviations (SDpwp). 最后，将曲线往血液组的数据点偏移3*SDP„P单位。这一处理的原因是对照溶液组的数据显示出非常小的离散，因此对照溶液组的“99%置信界限”是被明确定义的。 Finally, the blood constituent data points to the curve offset 3 * SDP "P units. For this reason the data processing control solution group show very small, discrete, and therefore the control group was" 99% confidence limit "being clearly defined. 在下文描述的方法中，测试仪表可以应用从剩余反应指数和干扰物指数的统计分析得到的信息来区分对照溶液和血液样本。  In the method described below, the test meter can apply statistical information from the residual reaction index and the interferent index to distinguish between obtained analytical control solution and blood sample. 测试仪表能够计算干扰指数和剩余反应指数，并且利用这些与所得到的区分线(或代表区分线的等式)相关的值来区分对照溶液和血液样本。 Test meter can calculate interferent index and the residual reaction index and use these obtained with the dividing line (dividing line equation or representative) associated values ​​to distinguish between blood samples and control solutions. 在采用图12的测试电位波形的情况下，可以应用区分对照溶液和血液的替代算法。  In the case where the test potential waveform of FIG. 12, the alternative algorithm can be applied to distinguish between blood and control solution. 替代算法包括应用Eq.3的干扰指数和Eq.7的剩余反应指数。 Alternatively algorithm includes interference index Eq.3 application and the residual reaction index Eq.7. 图14显示了用替代算法得到的多个血液样本和对照样本的干扰物指数和剩余反应指数之间的关系的曲线图。 Figure 14 shows a graph showing the relationship between the interferent index plurality of blood samples and control samples with an alternative algorithm and the residual reaction index. 在图14中，在约5摄氏度至约45摄氏度之间的范围测试了血液样本和对照溶液样本。 In Figure 14, the range between from about 5 degrees to about 45 degrees Celsius and blood samples tested for control solution samples. 此外，血液样本具有约20mg / dL至约560mg / dL范围的葡萄糖浓度，以及0%至约60%范围的血细胞比容水平。 In addition, a blood sample of about 20mg / dL to about 560mg / dL glucose concentration range, and a hematocrit level range of 0% to about 60%. 图15是只在室温下用替代算法测试更多测试条(约27，400)的另一个曲线图。 FIG 15 is a graph of another test only more test strips (about 27,400) in view of an alternative algorithm at room temperature. 通过在X轴上绘制干扰指数和在Y轴上绘制剩余反应指数，在图14和图15中能观察到血液和对照溶液之间的分离。 Interference by plotting the index plotted on the X axis and the residual reaction index on the Y axis in FIG. 14 and FIG. 15 can be observed between the blood and the separation control solution. 替代算法可以鉴定样本为血液，否则样本是对照溶液。 Alternative algorithm can be identified as a blood sample, or the sample is a control solution. 下面提供了用于产生图7和11数据的对照溶液的配制。  The following provides a control solution formulation 7 and 11 for generating the data of FIG. 这一配制是非限制性的，因为当前公开的系统和方法可以应用各种其它的制品和/或对照溶液。 This formulation is non-limiting, since the current systems and methods disclosed herein may be applied to a variety of other articles and / or control solution. 首先通过将需要量的柠康酸和柠康酸二钾溶解于去离子水中得到柠康酸缓冲液pH6.5±0.1。  Firstly citraconic acid and dipotassium citraconate dissolving the required amount citraconic acid buffer pH6.5 ± 0.1 in deionized water. 接下来，加入尼泊金甲酯并搅拌溶液直到防腐剂完全溶解。 Next, Jia Runi methylparaben preservative and the solution was stirred until completely dissolved. 随后，在前面所加化学物质溶解后，顺次加入葡聚糖T-500、Germal I1、普卢兰尼克25R2 (Pluronic25R2)和1-[(6_甲氧基-4-磺基-间甲苯基)偶氮基]-2-萘酚-6-磺基酸二钠盐。 Subsequently, after dissolving the previously added chemical sequentially Dextran T-500, Germal I1, Pluronic 25R2 (Pluronic25R2) and 1 - [(6_ methoxy-4-sulfo - tolyl yl) azo] -2-naphthol-6-sulfonic acid sodium salt group. 此时，检验对照液体的pH，随后加入需要量的葡萄糖以得到低、正常或高葡萄糖水平的对照液体。 At this time, the pH of the liquid test control, followed by addition of the required amount of glucose to obtain a low, normal or high glucose level of control fluid. 在葡萄糖完全溶解后，将对照溶液置于室温下过夜。 After glucose was completely dissolved, the solution was placed overnight at room temperature control. 最后，应用由Yellow SpringsInstrument 公司(Yellow Springs Instrument C0., Inc)制造的2700 型选择生物化学分析仪(Model2700Select Biochemistry Analyzer)验证葡萄糖浓度。 Finally, 2700 Select Biochemistry Analyzer (Model2700Select Biochemistry Analyzer) manufactured by Yellow SpringsInstrument Corporation (Yellow Springs Instrument C0., Inc) verification glucose concentration. 在这一对照溶液中使用的染料是蓝色的，其可以减少使用者混淆对照溶液和血液的可能性。 Dye used in this control solution is blue, which may reduce the possibility of confusion in the user control solution and blood. 有些人(例如，试图欺骗父母或医生的年轻人)会往传感器中装载Gatomde®而非血液，以表明他们的葡萄糖在控制范围内。  Some people (for example, a parent or a doctor attempted to deceive young people) will be loaded into the sensor Gatomde® instead of blood, to show their glucose under control. 进行以下的实验以确定当前公开的方法和传感器是否能够用于区分Gatomde®和血液。 The following experiments were performed to determine whether the current sensor and the method disclosed can be used to distinguish between blood and Gatomde®. 测试了五(5)种不同味道的Gatomde®。  tested five (5) different flavors Gatomde®. 传感器将所有5种均分类为对照溶液(平均葡萄糖=264mg / Dl ；cv=6.7% )0因此，传感器可用于区分Gatorade®.和血液。 All five sensors are classified into a control solution (mean glucose = 264mg / Dl; cv = 6.7%) 0 Thus, the sensor can be used to distinguish between blood and Gatorade®. 本领域技术人员基于上述实施方式能够理解当前公开的系统和方法的其它特征和优点。  Those skilled in the art will appreciate further features and advantages of the systems and methods disclosed in the current embodiment based on the above embodiment. 因此，当前公开的系统和方法不限于已经具体显示和描述的那些，除非通过附加的权利要求指出的那样。 Thus, current systems and methods disclosed herein are not limited to what has been particularly shown and that, unless otherwise indicated by the appended claims as described in the claim. 文中引用的所有出版物和参考文献在此都明确地全文引入作为参考。 All publications and references cited in this article are expressly incorporated herein by reference. 1.用于区分血液样本和含水非血液样本的方法，所述方法包括: (a)将样本引入电化学池时在第一电极和第二电极间施加第一测试电位并测量第一电流瞬态； (b)在第一电极和第二电极间施加第二测试电位并测量第二电流瞬态，其中第二测试电位足够在第二电极氧化还原的介质； (C)在第一电极和第二电极间施加第三测试电位并测量第三电流瞬态，其中第三测试电位足够在第一电极氧化还原的介质，其中各电流瞬态表示在测试电位时间间隔期间测得的多个电流值； (d)基于第一电流瞬态的至少一个电流值计算第一参照值； (e)基于第二和第三电流瞬态各自的至少一个电流值计算第二参照值；以及(f)基于第一和第二参照值确定样本是血液样本，还是含水非血液样本，其中第一参照值与样本中的干扰物浓度成比例。 1. A method for distinguishing between a blood sample and an aqueous non-blood sample, said method comprising: (a) introducing the sample into a first test potential is applied between the first electrode and the second electrode of the electrochemical cell and measuring a first current transient state; (b) is applied between the first electrode and the second electrode of the second test potential and measuring a second current transient, wherein the second medium in the second test potential sufficient redox electrode; (C) and the first electrode a plurality of electrodes for applying a current between the second and third test potential measuring a third current transient, wherein the third test potential sufficient redox electrode in a first medium, wherein each of the current transient represents measured during the test potential time interval value; the at least one current value based on the first current transient and (d) calculating a first reference value; (e) calculating a second reference value based on a current value of each of the at least second and third current transient; and (f) based on the first and the second reference value determining sample is a blood sample or an aqueous non-blood sample, wherein the first reference value is proportional to the concentration in the sample of interferents. 2.权利要求1的方法，其中基于在第一电流瞬态期间测量的电流值的总和来计算第一参照值。 The method of claim 1, wherein based on the sum of the current values ​​measured during the first current transient to calculate a first reference value. ，其中是电流值的总和，t是时间。 Which is the sum of current values, t is the time. 4.权利要求1的方法，其中第二参照值是基于化学反应的完成百分数。 The method of claim 1, wherein the second reference value is based on the percent completion of a chemical reaction. 5.权利要求1的方法，其中第二参照值是基于在第二电流瞬态终点的第二电流值和在第二电流瞬态起点的第二电流值。 The method of claim 1, wherein the second reference value is based on the second current value of the second current transient and the end of the second current value at the starting point of the second current transient. 6.权利要求5的方法，其中第二参照值是基于第二电流值和第三电流值的比值。 The method of claim 5, wherein the second reference value is a ratio of the second value and the third current based on a current value. 7.权利要求1的方法，进一步包括测量分析物浓度的步骤。 The method of claim 1, further comprising the step of measuring the concentration of an analyte. 8.权利要求7的方法，其中如果发现样本是含水非血液样本，则标记与含水非血液样本相关的分析物浓度。 The method of claim 7, wherein if the sample is found to aqueous non-blood sample the analyte concentration associated with the aqueous non-blood sample is flagged. 9.权利要求1的方法，其中步骤(f)进一步包括应用统计分类来确定样本是含水非血液样本还是血液样本。 9. The method of claim 1, wherein step (f) further comprises applying a statistical classification to determine if the sample is an aqueous non-blood sample or a blood sample. 10.权利要求1的方法，其中步骤(f)进一步包括: 将第一参照值与预先确定的阈值相比较；以及将第二参照值与预先确定的阈等式相比较以确定样本是含水非血液样本还是血液样本。 10. The method of claim 1, wherein step (f) further comprises: a first reference value and a predetermined threshold value comparing; and the second reference value and a predetermined threshold equation to determine if the sample is compared to the non-aqueous blood samples or blood samples. 11.权利要求10的方法，其中预先确定的阈等式是第一参照值的函数，其中以在第一电流瞬态期间测量的电流值的总和为基础计算得到第一参照值，并且以至少一个来自第二电流瞬态的电流值和至少一个来自于第三电流瞬态的电流值为基础计算得到第二参照值。 11. 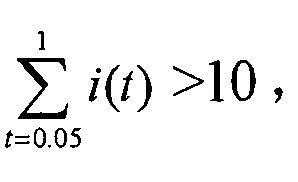 The method of claim 10, wherein the pre-determined threshold equation is a function of a first reference value, wherein the sum of the current values ​​measured during the first current transient was computed based on a first reference value, and at least a current value from the second current transient and at least a current from the third current transient is computed based on a second reference value. 12.权利要求1的方法，其中含水非血液样本是对照样本。 12. The method of claim 1, wherein the aqueous non-blood sample is a control sample. 13.用于区分血液样本和含水非血液样本的系统，所述系统包括: (a)包含用于与测试仪表匹配的电触头的测试条及电化学池，所述电化学池包括: (i)空间分开的第一电极和第二电极，和(ϋ)试剂；以及(b)测试仪表，其包含适合于从测试条上接收电流数据的处理器以及含有用于区分血液样本和含水非血液样本的区分标准的数据存储器，所述区分标准是基于抗氧化剂浓度和反应动力学，其中区分标准衍生自代表抗氧化剂浓度的干扰物指数和代表反应动力学的剩余反应指数。 13. A system for distinguishing between a blood sample and an aqueous non-blood sample, said system comprising: (a) a test strip comprising an electrochemical cell and electrical contact with a test instrument for matching, said electrochemical cell comprising: ( i) spatially separated first and second electrodes, and (ϋ) a reagent; and (b) a test meter, comprising a processor adapted to receive the current data from the test strip and to distinguish between a blood sample and comprising a non-aqueous distinguishing criteria blood sample data memory, the discrimination criteria is based on antioxidant concentration and reaction kinetics, wherein the discrimination criteria is derived from a representative of the residual reaction index and the interferent index representative of antioxidant concentration in the reaction kinetics. 14.权利要求13的系统，其中区分标准包含凭经验得到的区分线。 14. The system of claim 13, wherein the discrimination criteria comprises separation lines obtained empirically. 15.权利要求13的系统，其中含水非血液样本是对照溶液。 15. The system of claim 13, wherein the aqueous non-blood sample is a control solution. 16.用于计算编程至测试仪表内的用于区分血液样本和含水非血液样本的区分标准的方法，所述方法包括: (a)计算多个含水非血液样本的干扰物指数和剩余反应指数；和(b)基于多个含水非血液样本的干扰物指数和剩余反应指数的回归来计算区分标准， 其中所述干扰物指数代表抗氧化剂浓度和所述剩余反应指数代表反应动力学。 The method of distinguishing criteria for distinguishing a blood sample and an aqueous non-blood sample within the test instrument 16. 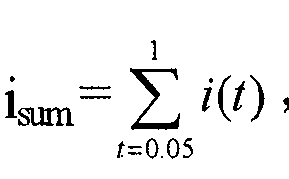 A program to calculate, the method comprising: (a) calculating a plurality of aqueous non-interferent index and the residual blood sample reaction index ; and (b) based on the interferent index regression plurality of aqueous non-blood sample and the residual reaction index calculated distinguishing criteria, wherein the interferent index representative of antioxidant concentration and a residual reaction index representative of reaction kinetics. 17.权利要求16的方法，其中所述方法还包括以下步骤: 将多个血液样本的干扰指数及剩余反应指数制成曲线图并将区分线朝着多个血液样本移动。 17. The method of claim 16, wherein said method further comprises the steps of: dividing line is made of the interference graph and a plurality of index of blood samples and the residual reaction index is moved toward the plurality of blood samples. 18.权利要求16的方法，其中多个含水非血液样本是多个对照溶液。 18. The method of claim 16, wherein the plurality of the plurality of aqueous non-blood sample is a control solution. 19.用于区分血液样本和含水非血液样本的方法，所述方法包括: (a)将样本引入电化学池中，其中电化学池包括(i)空间上分离的两个电极；和(ϋ)试剂； (b)在电极之间施加具有第一极性的第一测试电位，并测量池电流； (c)加和至少两个在第一测试电位期间测得的电流值以得到干扰物指数；以及(d)应用干扰物指数区分血液样本和含水非血液样本， 其中所述干扰物指数代表被引入的样品中抗氧化剂浓度。 19. A method for distinguishing between a blood sample and an aqueous non-blood sample, said method comprising: (a) introducing the sample into an electrochemical cell, wherein the electrochemical cell comprises two electrodes separated (i) a space; and (ϋ ) reagent; (b) applied between the electrodes of a first polarity having a first test potential, and a current measuring cell; (c) summing at least two current values ​​measured during the first test potential interferents to give index; and (d) application of interferent index to distinguish between a blood sample and an aqueous non-blood sample, wherein the antioxidant concentration in the sample of the interferent index represents the introduced. 20.权利要求19的方法，其中含水非血液样本是对照溶液。 20. The method of claim 19, wherein the aqueous non-blood sample is a control solution. NL7903113A (en) 1978-05-05 1979-11-07 Baker Chem Co J T Kinetic measurement of glucose concentrations in body fluids and to this end to use preparations. DE68924026D1 (en) * 1988-03-31 1995-10-05 Matsushita Electric Ind Co Ltd Biosensor and its production. FR2695481B1 (en) * 1992-09-07 1994-12-02 Cylergie Gie Device for amperometric measurement comprising an electrochemical sensor. EP0600607A3 (en) * 1992-10-28 1996-07-03 Nakano Vinegar Co Ltd Coulometric analysis method and a device therefor.